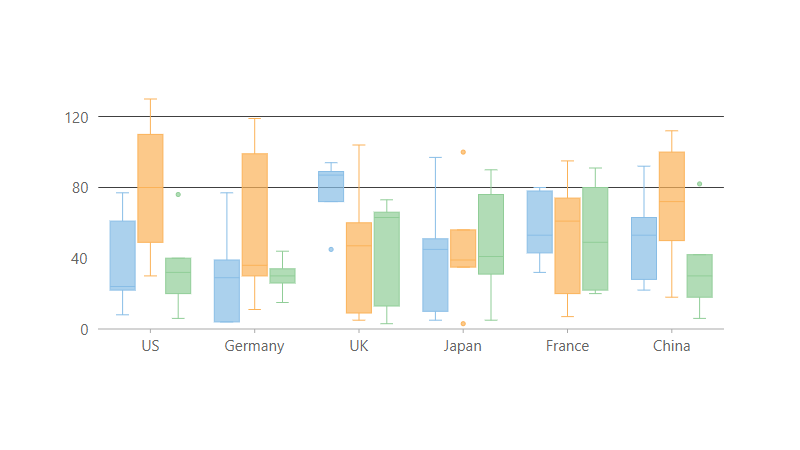 Compare multiple data series over time in a basic horizontal bar chart. 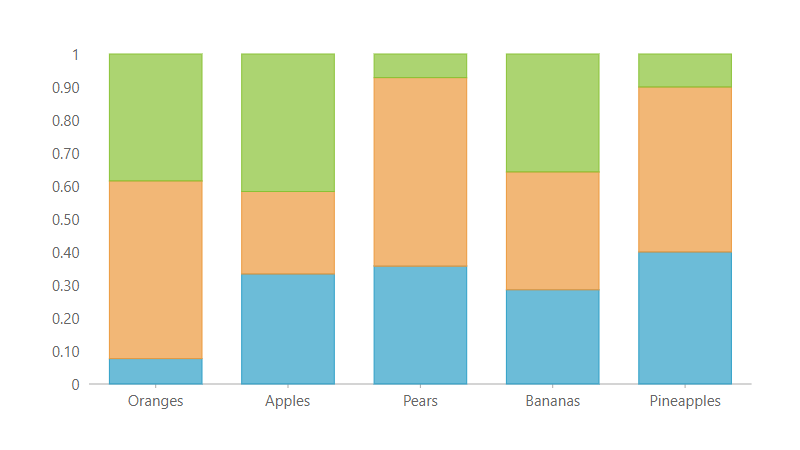 Stack data points in a bar chart. 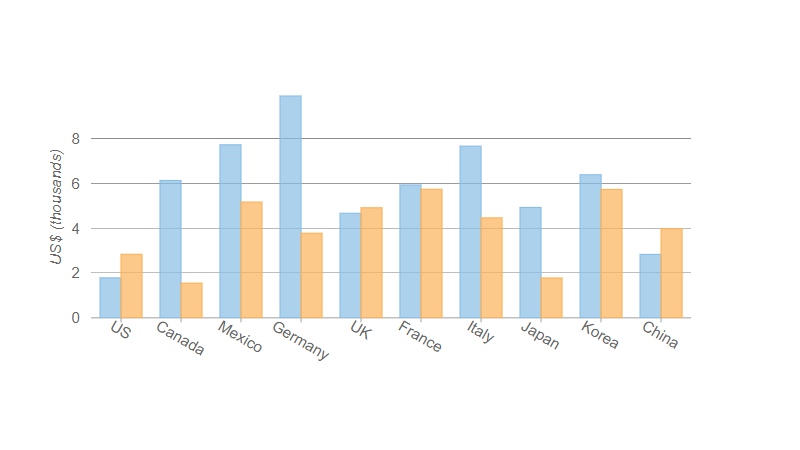 Compare the percentage that each value contributes to the total. 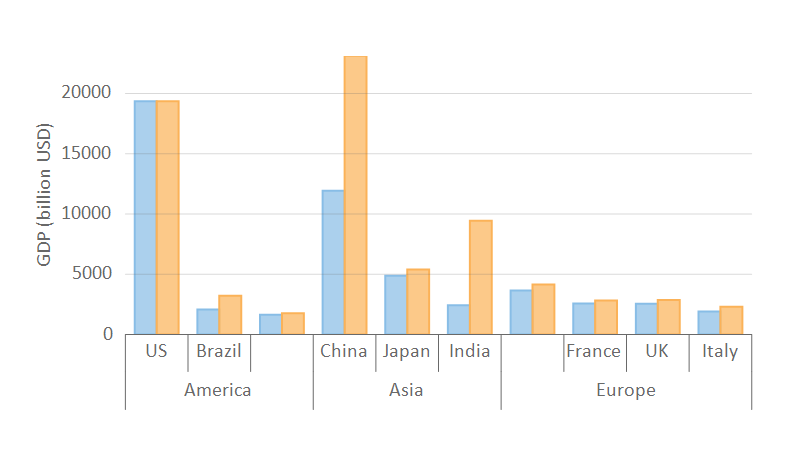 Similar to a bar chart, with a primarily vertical orientation. 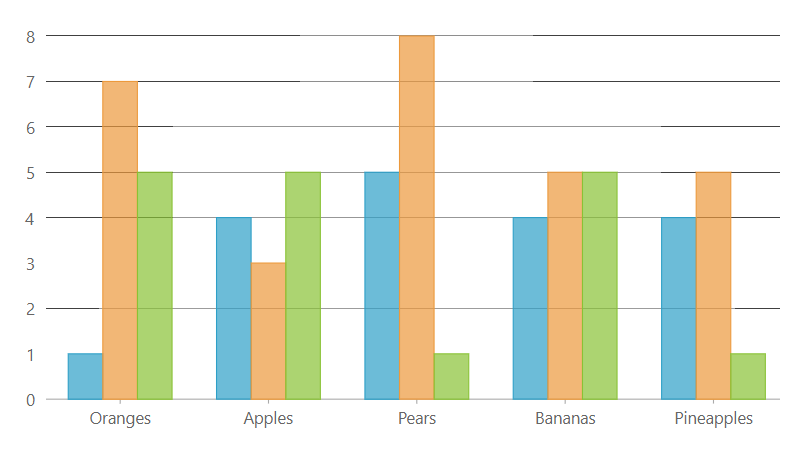 Stack data points in a column chart. 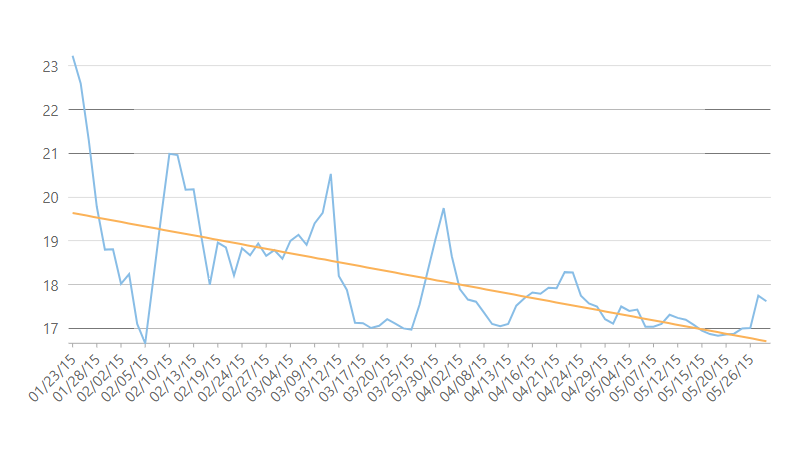 Display changes in data over short and long periods of time with a basic line chart. Stack series in a line chart. Rotate the series in a line chart. 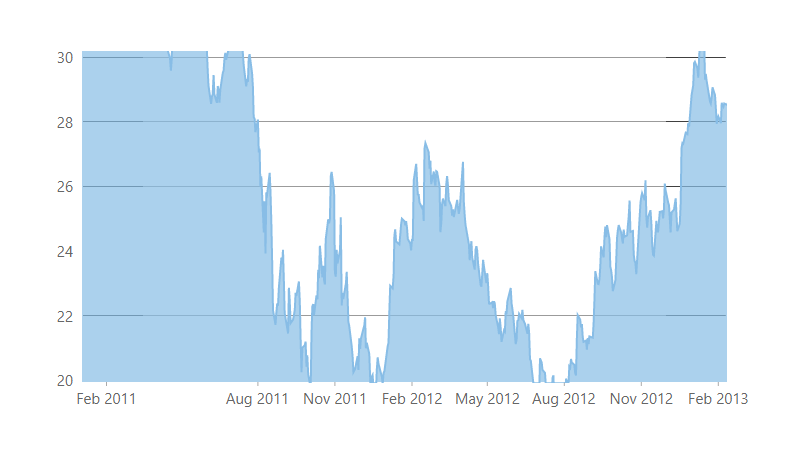 Add custom images to data points in a basic line chart. 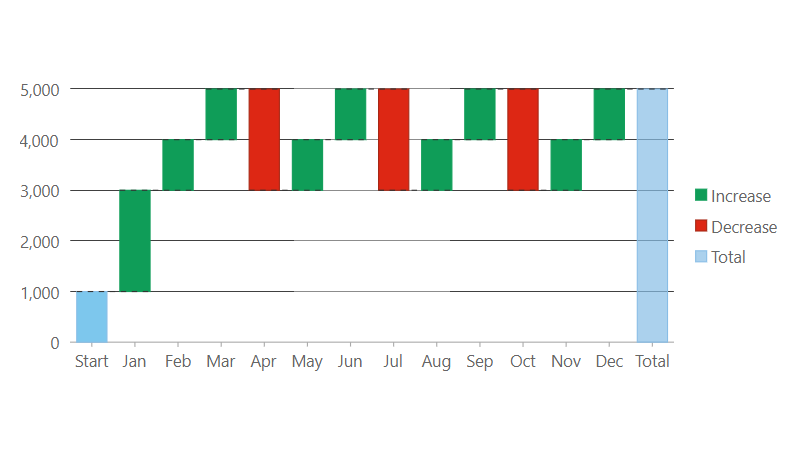 Stack series in a line symbol chart. 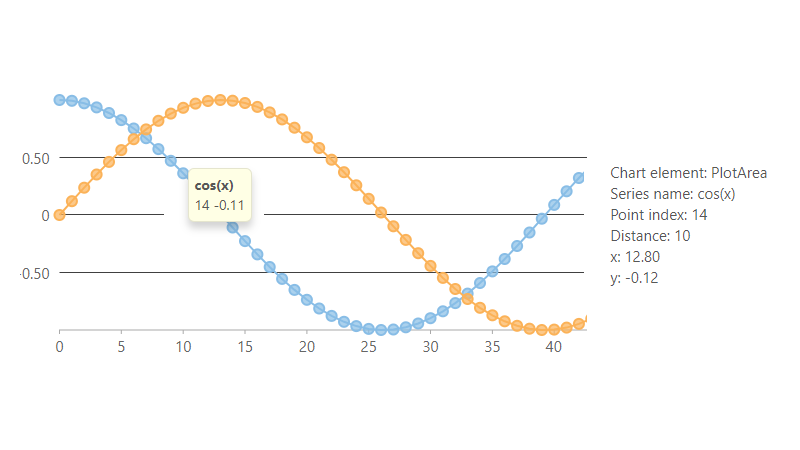 Rotate the series in a line symbol chart. 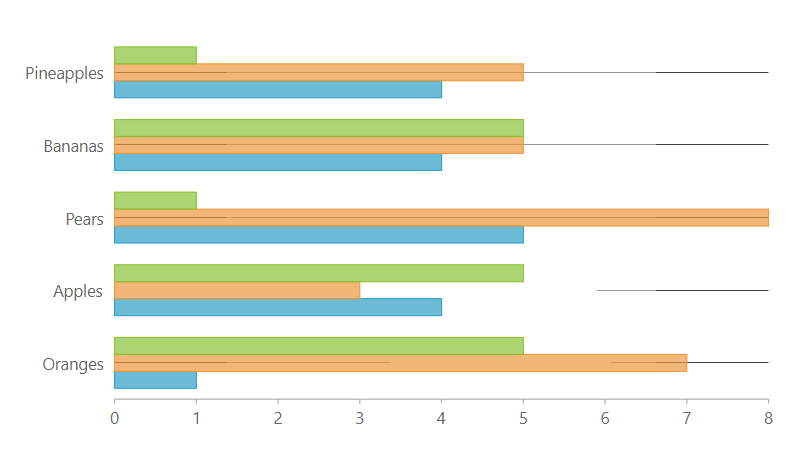 This line chart variation shows estimated interim changes over time. Stack series in a spline chart. 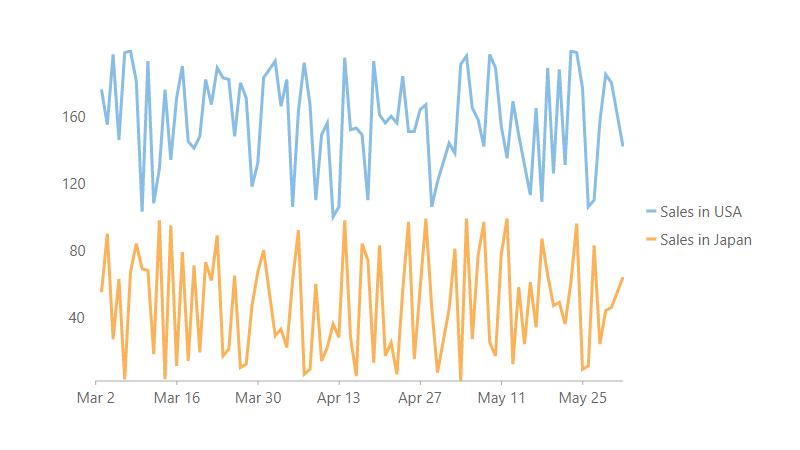 Rotate the series in a spline chart. 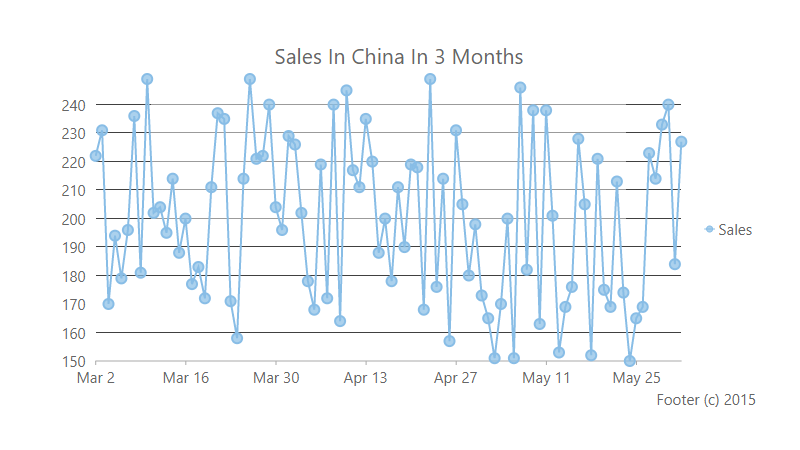 Add custom images to spline symbol chart data points. Stack series in a spline symbol chart. 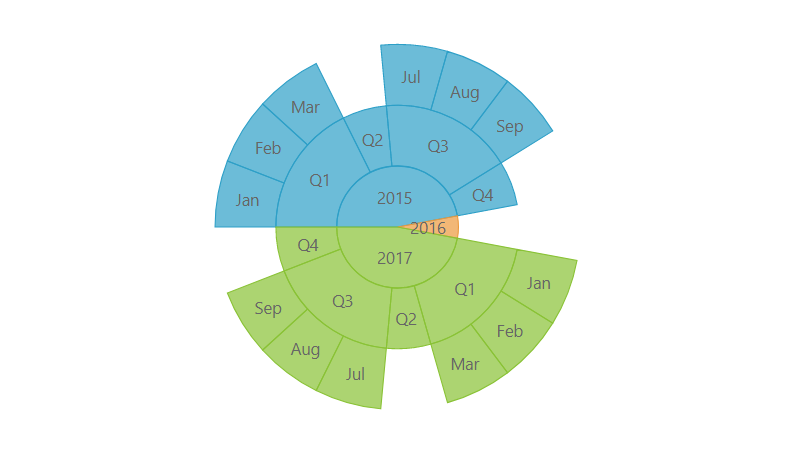 Rotate the series in a spline symbol chart. Fill in the area below the line to demonstrate trends in similar categories. 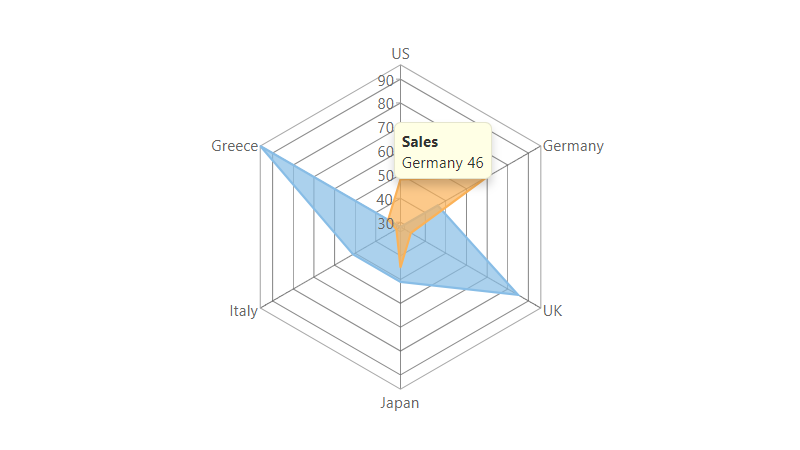 Stack series in a area chart. 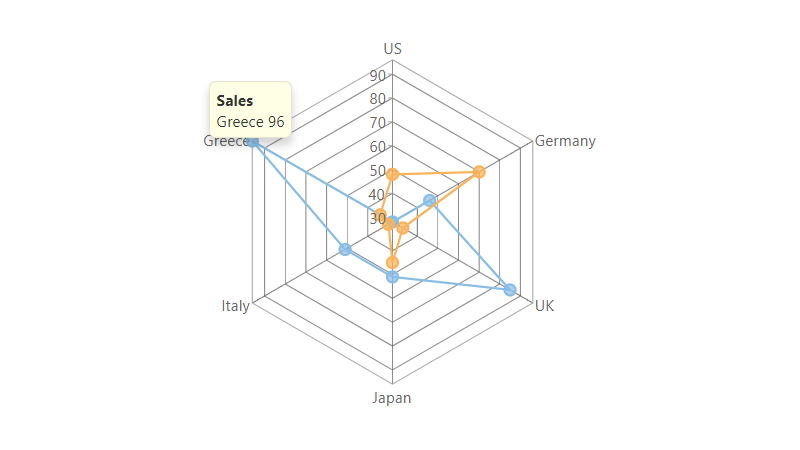 Rotate the series in an area chart. 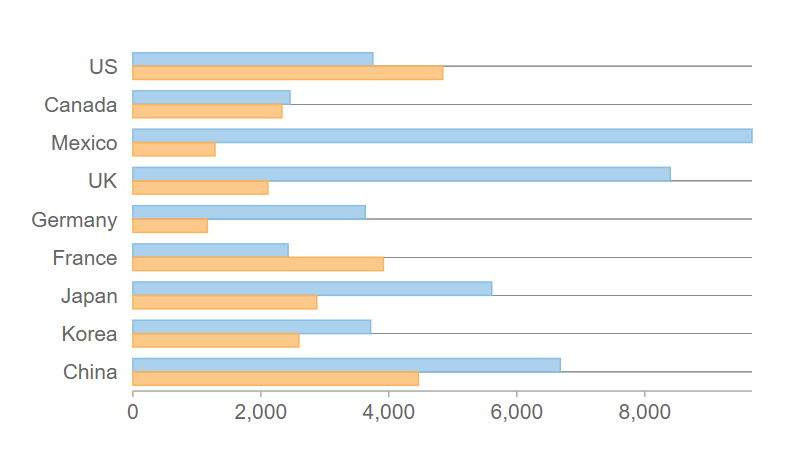 This area chart variation shows estimated interim changes over time. 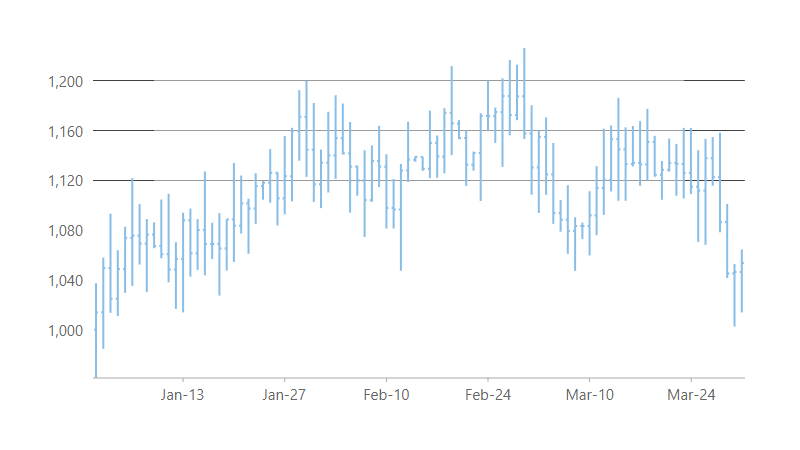 Stack series in a spline area chart. Rotate the series in a spline area chart. 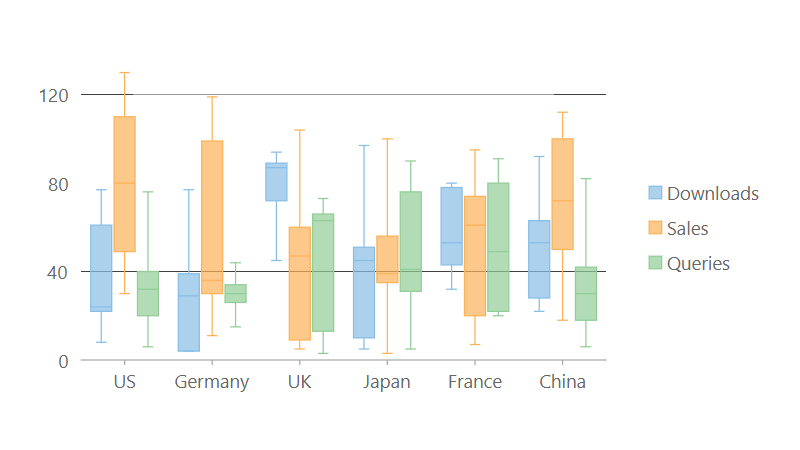 Uses horizontal and vertical lines to present data that show sudden changes along y-axis by discrete amount. Not currently available in ASP.NET MVC. 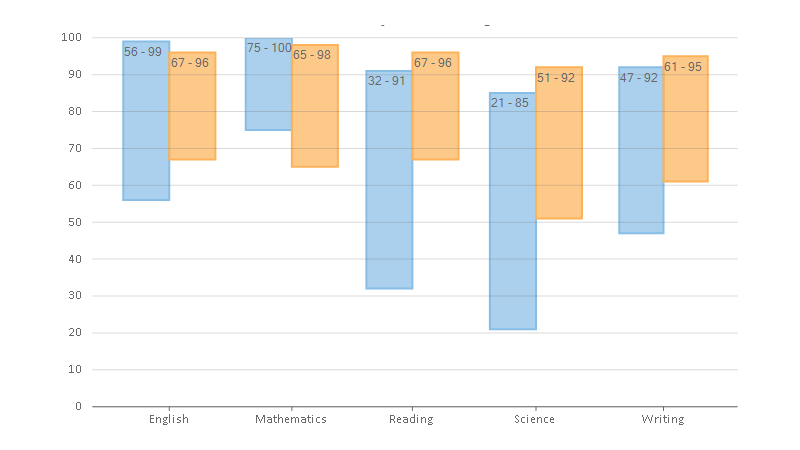 Fill in the area below the line to demonstrate trends in similar categories. Not currently available in ASP.NET MVC or Xamarin. 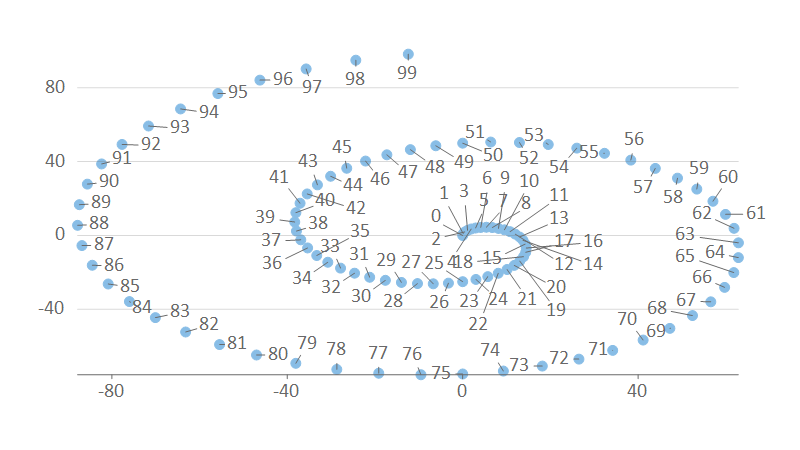 Stack series in a scatter chart. Rotate the series in a scatter chart. 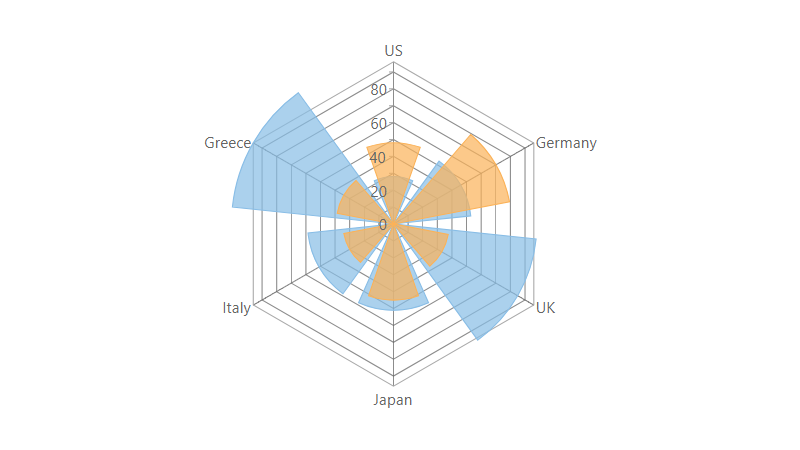 Create rich, visually-appealing data modelling and financial charts with bubble charts. 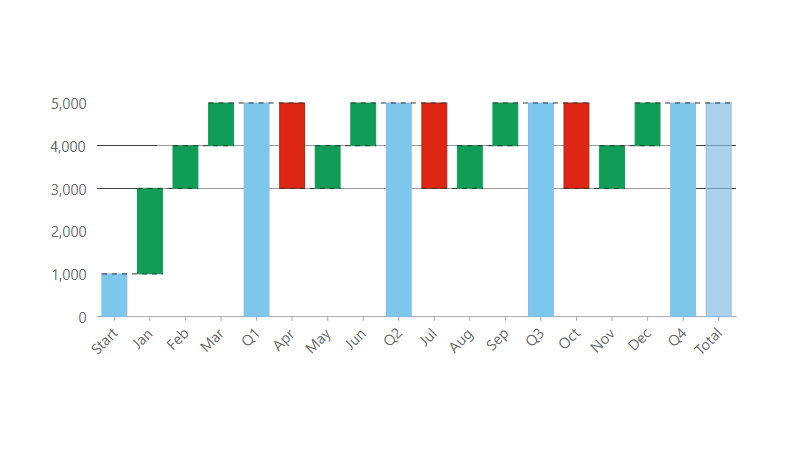 This chart type allows you to display your data series as a set of differently-sized symbols in the chart space. 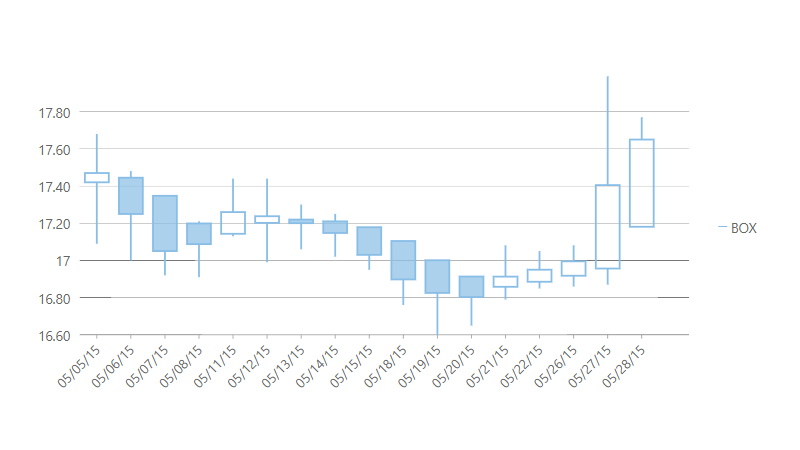 Visualize financial data in the Candlestick Chart. This chart displays the Open, Close, High and Low Stock Prices for each day in the series. 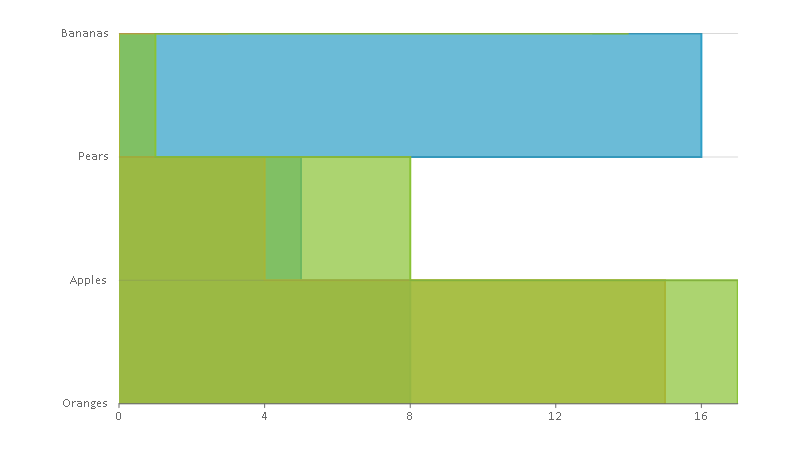 The vertical bar spans the High and Low values for the day. 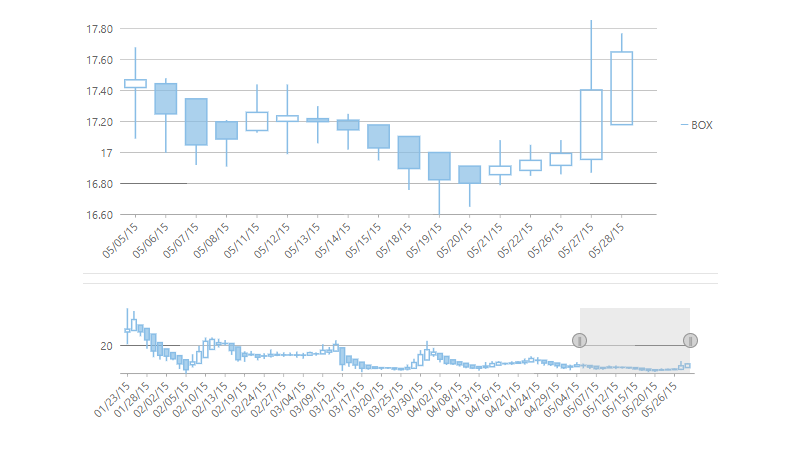 Also known as high low open close, HLOC illustrates movements in the price of a financial instrument over time. 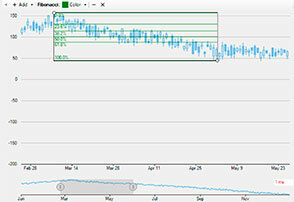 ComponentOne Studio includes the FinancialChart control, which includes 9 different specialized financial charts. 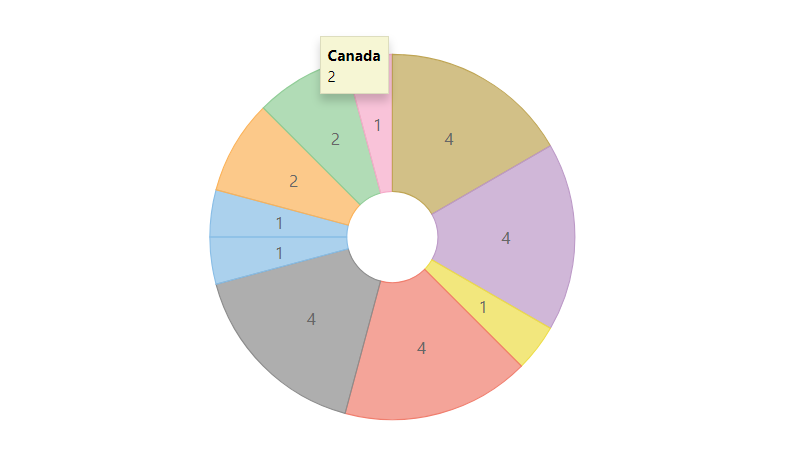 Set the inner radius property of the pie chart to turn it into a doughnut. 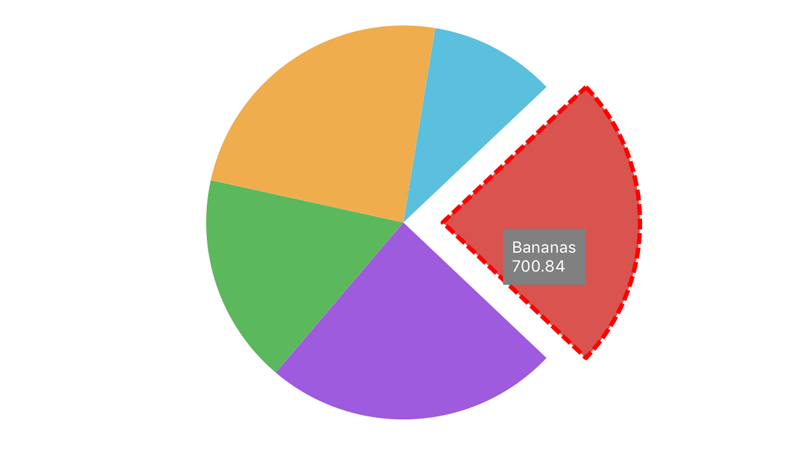 Includes all of the pie chart customizations. 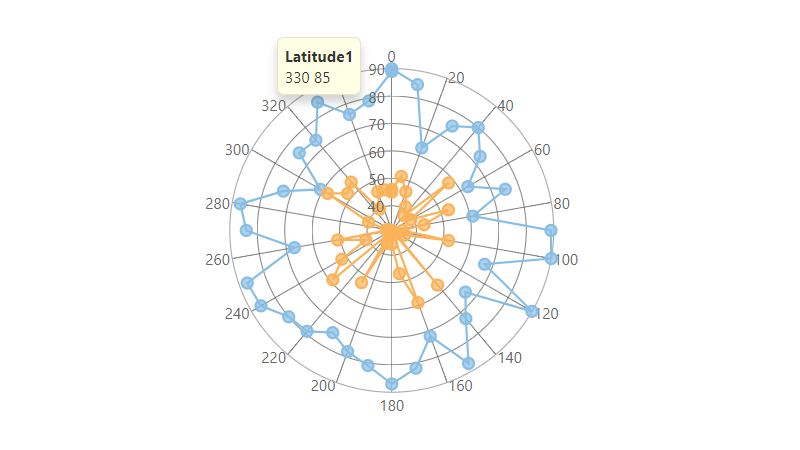 Visualize hierarchical data from a root node (center) outward to lower hierarchies. 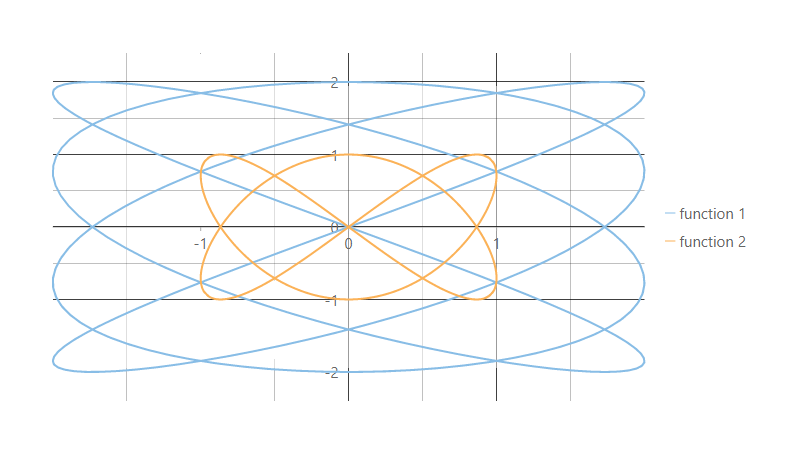 A segment of the inner circle is a parent to the segments of the outer circle which lie within the angular sweep of parent. 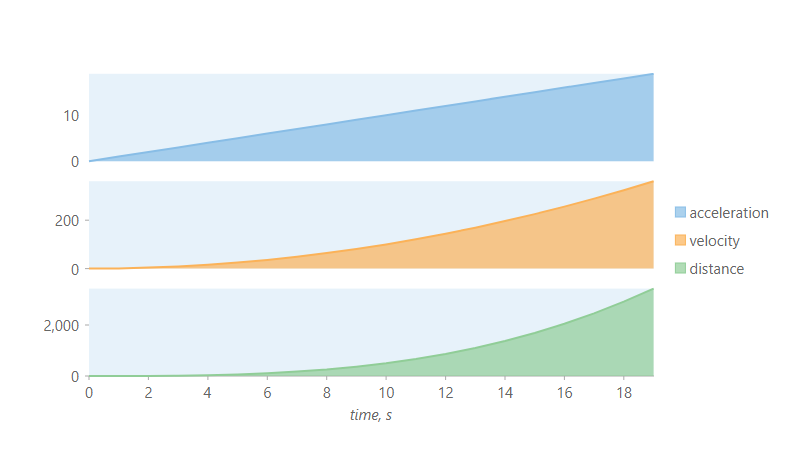 Display multivariate observations with an arbitrary number of variables. Not available in Xamarin. 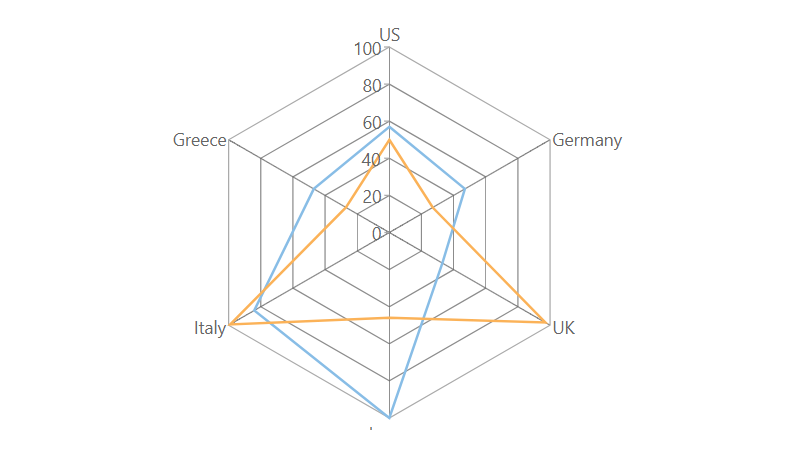 Add custom images to represent data points in a radar chart Not available in Xamarin. 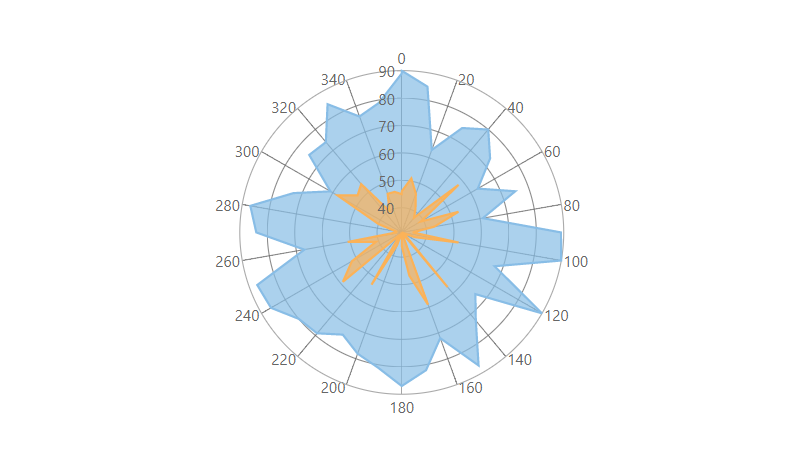 Fill in the areas between lines of a basic radar chart. Not available in Xamarin. Combine a radar and a scatter chart Not available in Xamarin. 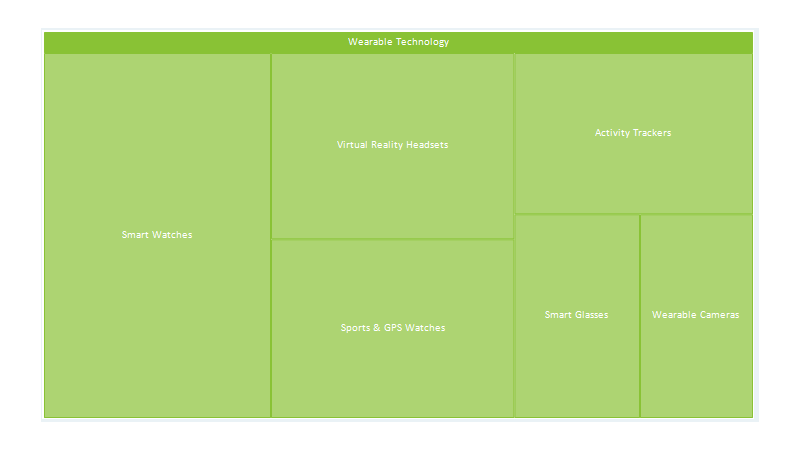 Display changes in the radar with radiating columns Not available in Xamarin. Create circular graphs to display multivariate observations with an arbitrary number of variables. Not available in Xamarin. 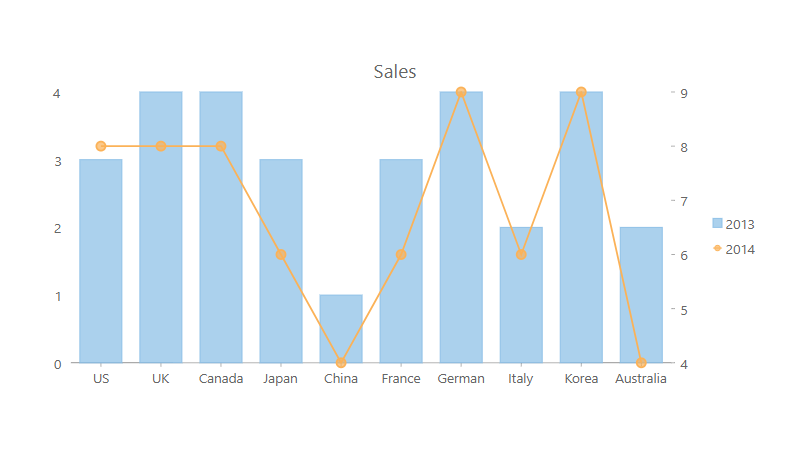 Add custom images to represent data points in a polar chart Not available in Xamarin. Fill in the areas between lines of a basic polar chart. Not available in Xamarin. 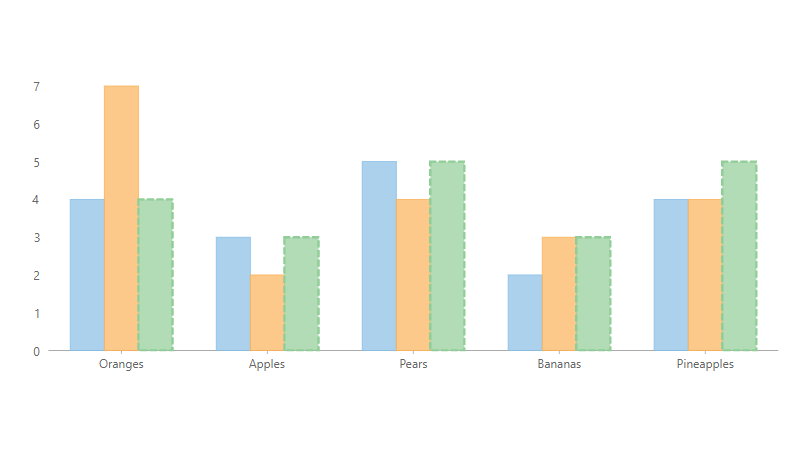 Combine a polar and a scatter chart Not available in Xamarin. 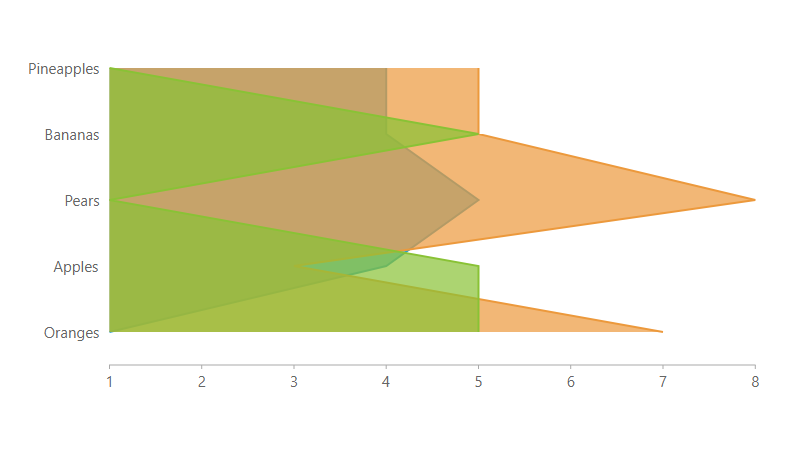 Diagram consists of rectangles whose area is proportional to the frequency of a variable and whose width is equal to the class interval. 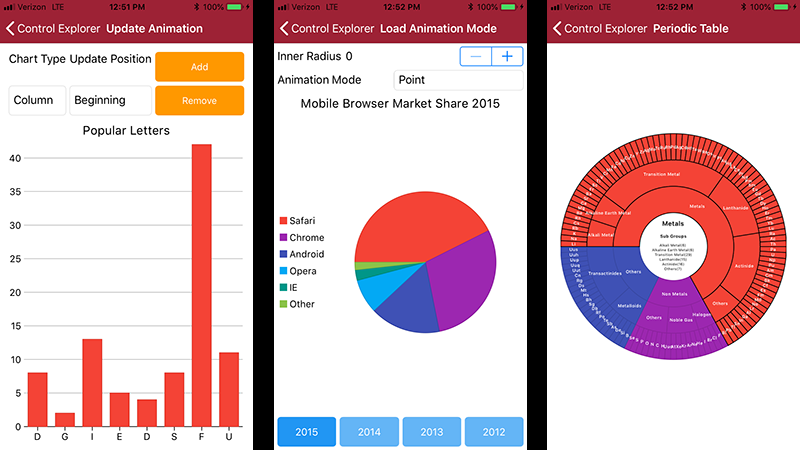 Available in WinForms, WPF, UWP, and Xamarin. 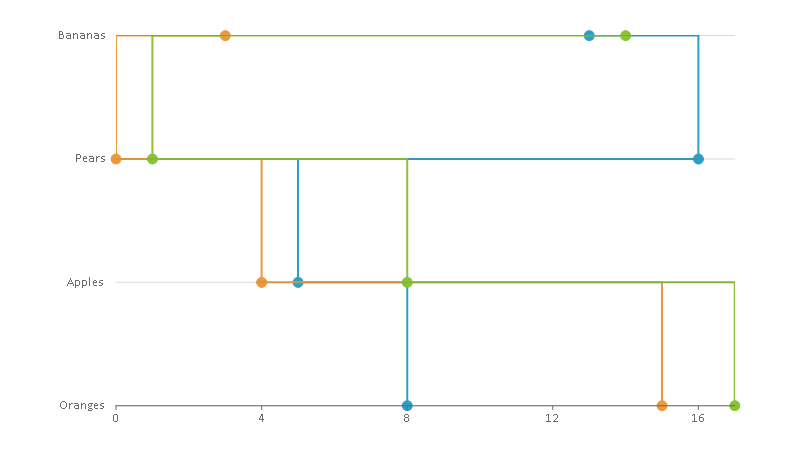 Diagram consists of a range rectangles whose area is proportional to the frequency of a variable and whose width is equal to the class interval. 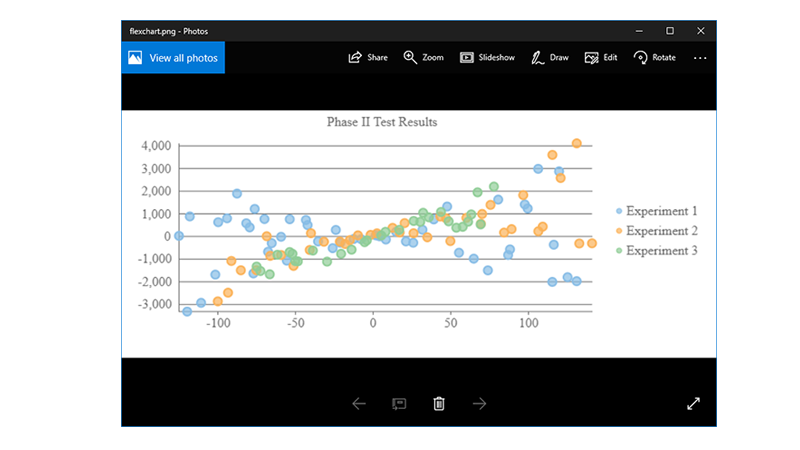 Available in WinForms, WPF, and UWP. 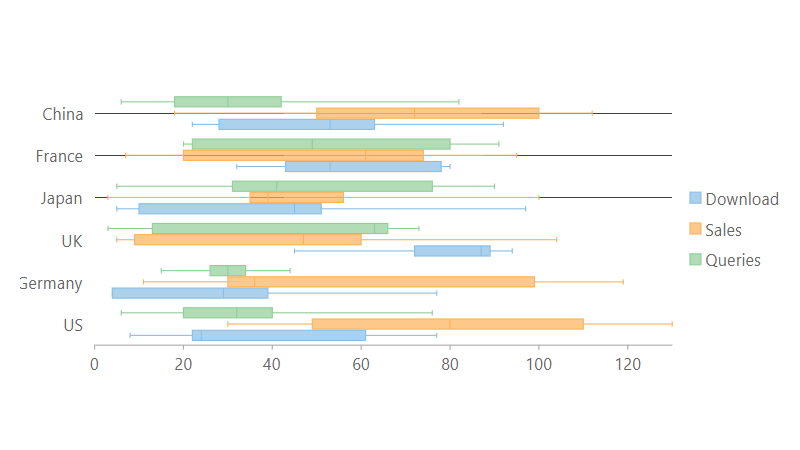 This is a variation of histogram chart where the columns are replaced by a curve that's helpful for comparing multiple sets of data Available in WinForms, WPF, and UWP. 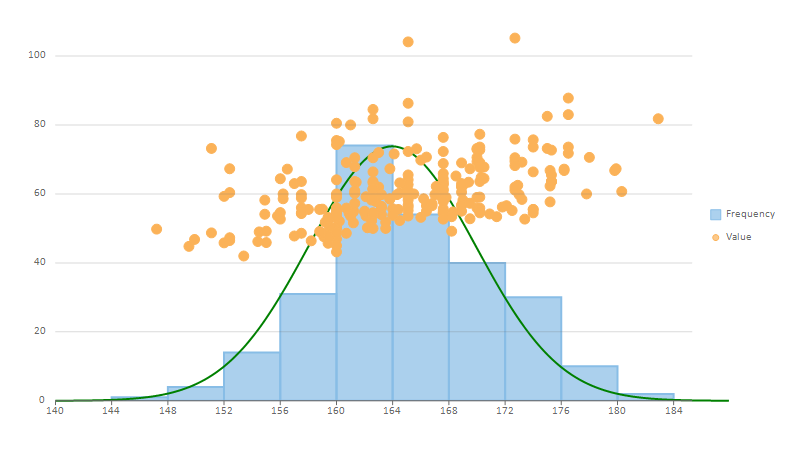 This variation includes a bell-shaped curve in histogram chart that shows the probability distribution of a continuous random variable. 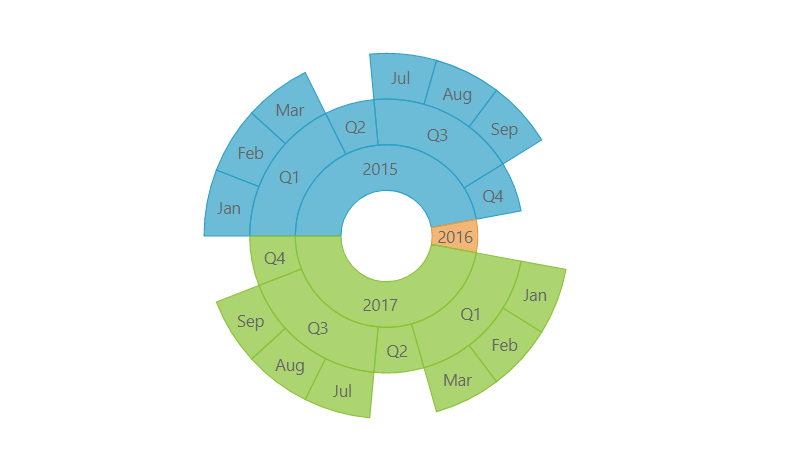 Available in WinForms, WPF, and UWP. 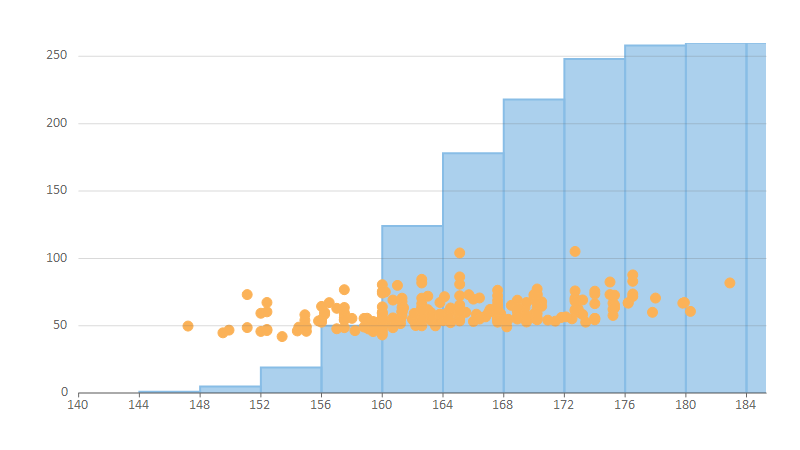 This variation in histogram and Frequency Polygon chart shows the running total of frequencies on the chart. Available in WinForms, WPF, and UWP. 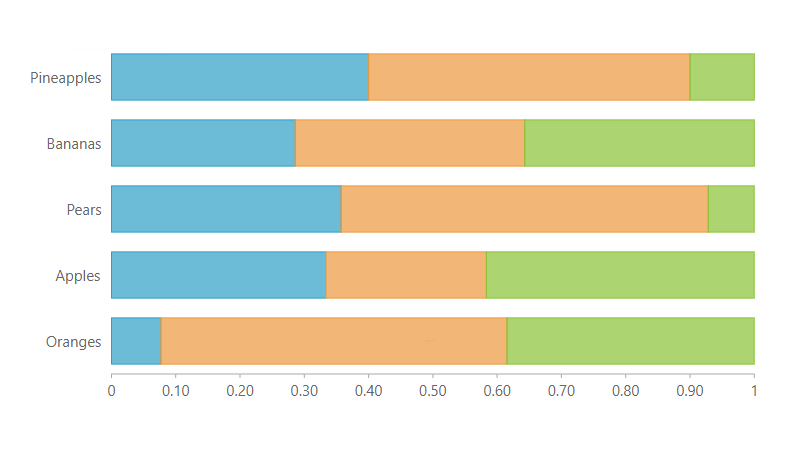 Available as a sample in WinForms, WPF, UWP, and ASP.NET MVC. 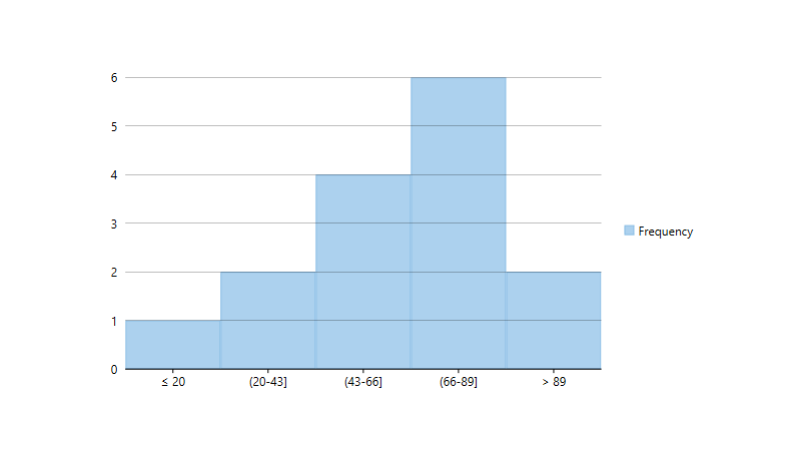 This special histogram chart includes columns in descending order and a rising line that represents cumulative total percentage. Pareto charts makes it easier to analyze most signficant issues and prioritize corrective actions. Represent the variability of data to indicate the error or uncertainty in a measurement. Not available in Xamarin. 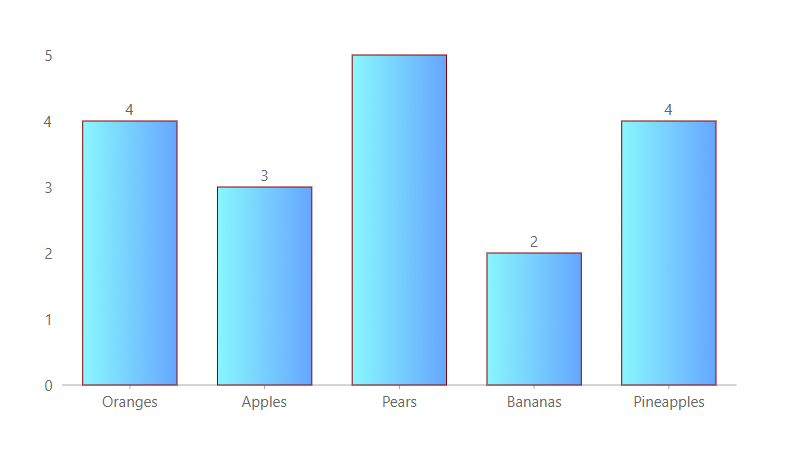 Display standard deviation or standard error in an error bar chart. 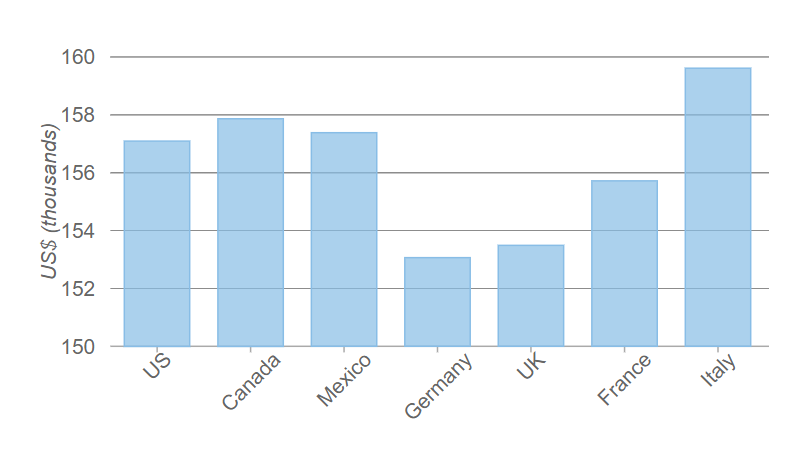 Other error amounts include Fixed Value, Percentage, Standard Error, and Custom. Not available in Xamarin. Graphically depict groups of numerical data through their quartile, mean, median and outliers. Not available in Xamarin. Rotate the series in a box-and-whisker chart. Not available in Xamarin. 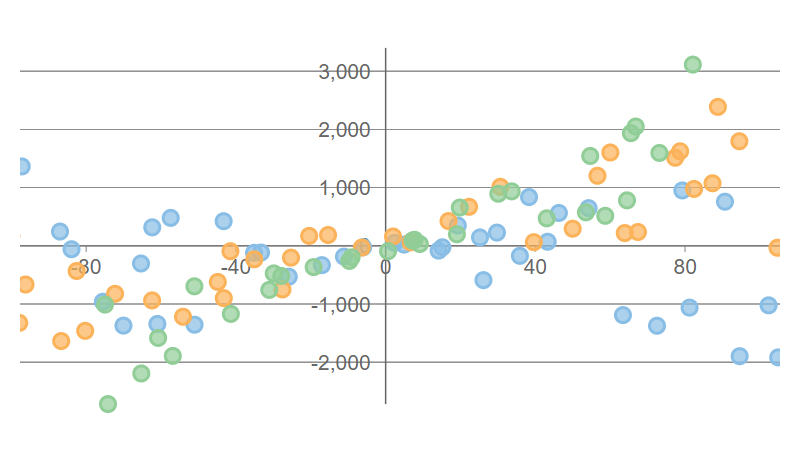 Show data outliers in a box-and-whisker. Not available in Xamarin. 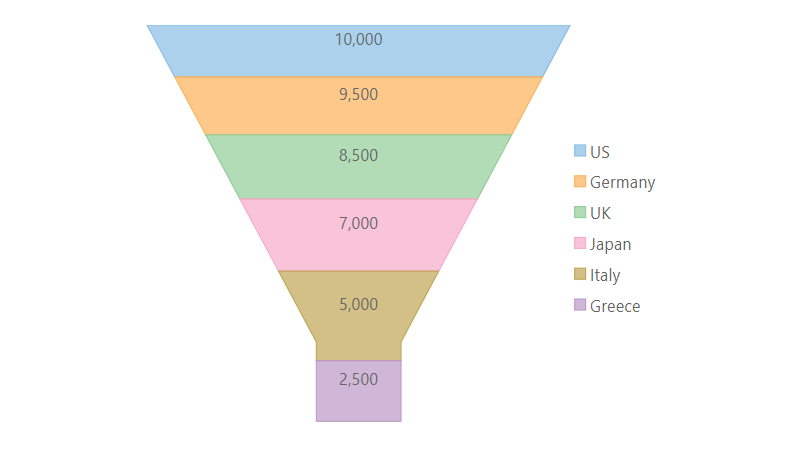 Visualize stages of process in a funnel shape, such as for sales. Not available in Xamarin. Square the edges in a funnel for a different look. Not available in Xamarin. 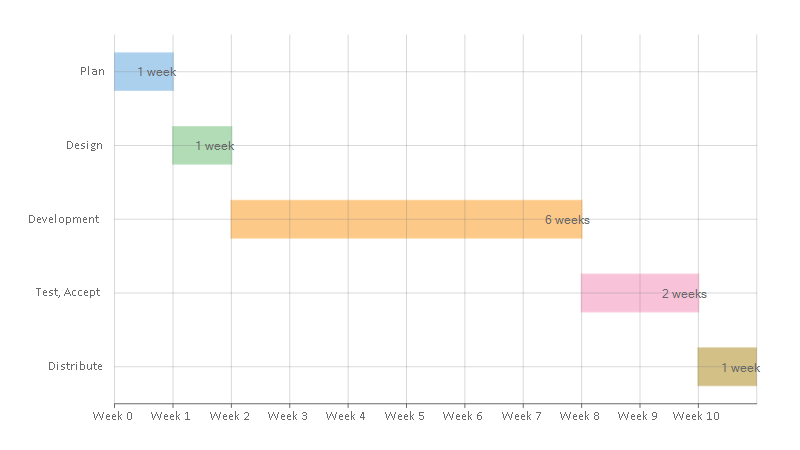 Show change in the starting position of the chart through a series of changes. Not available in Xamarin. 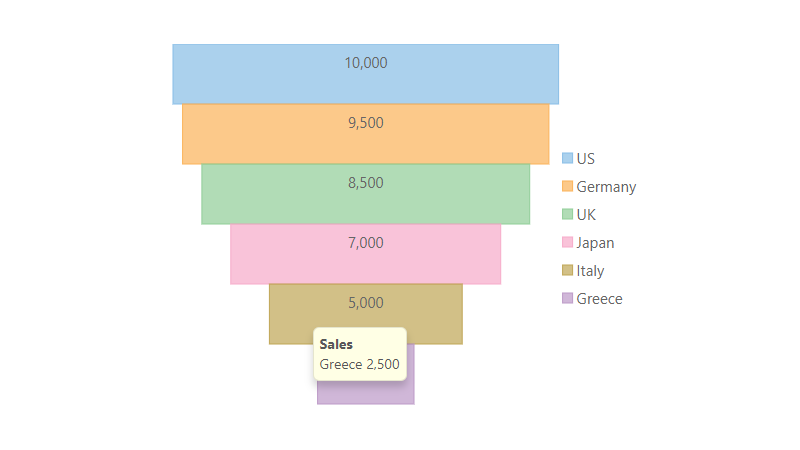 Display auto-calculated intermediate totals in a waterfall chart. Not available in Xamarin. 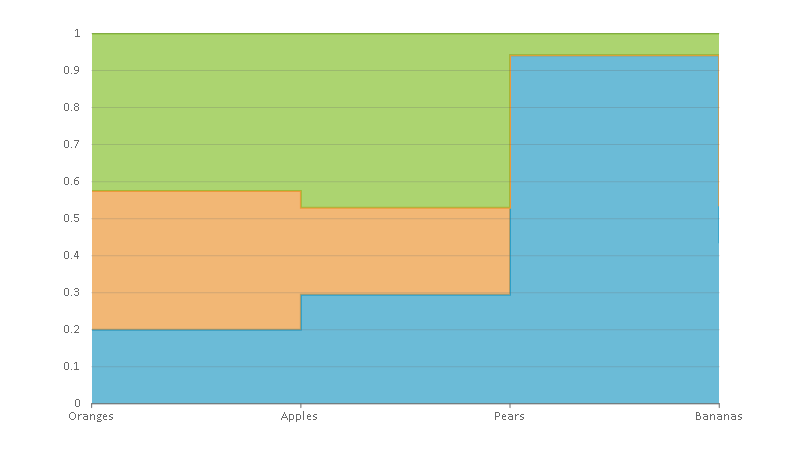 Display hierarchical information combined with relative quantity. Includes customized node colors. 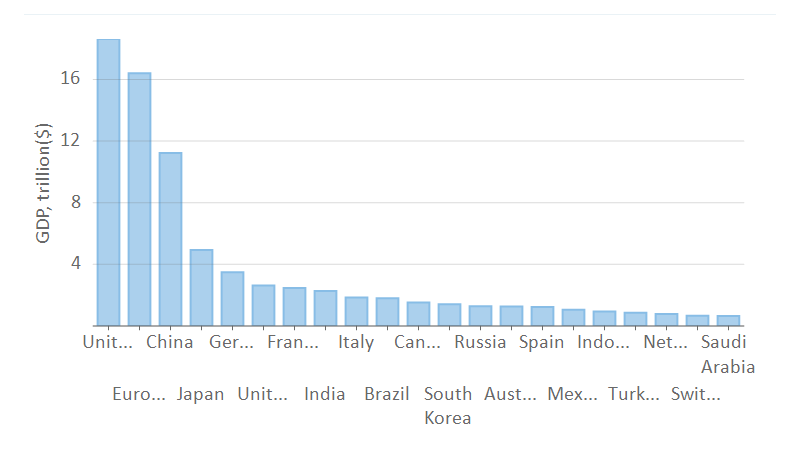 Available in WinForms, WPF, and UWP. 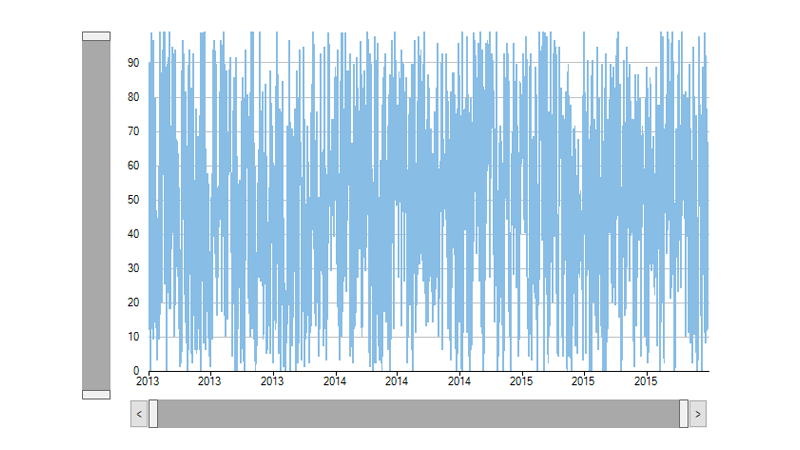 Available as a sample in WinForms, WPF, and UWP. 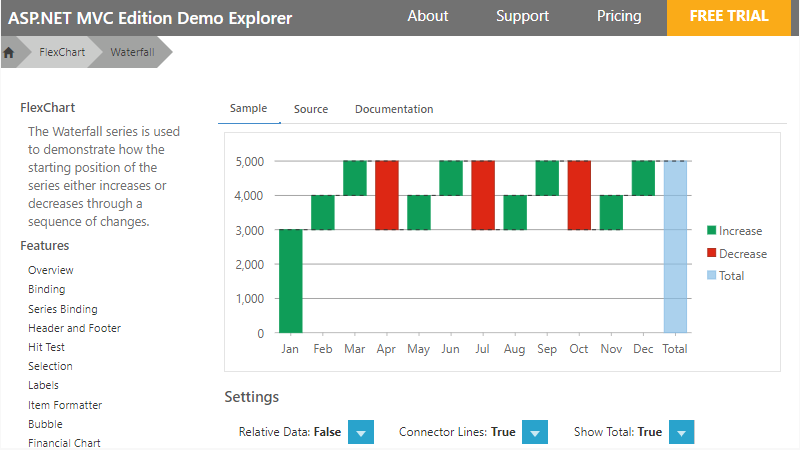 Available as a sample in WinForms, WPF, UWP, and ASP.NET MVC. 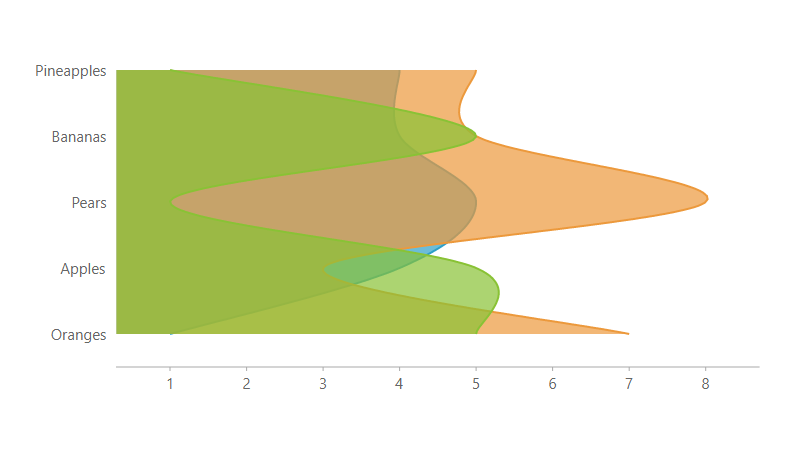 This specialized chart represents data values using colors, and is especially useful in plotting large, complex data. 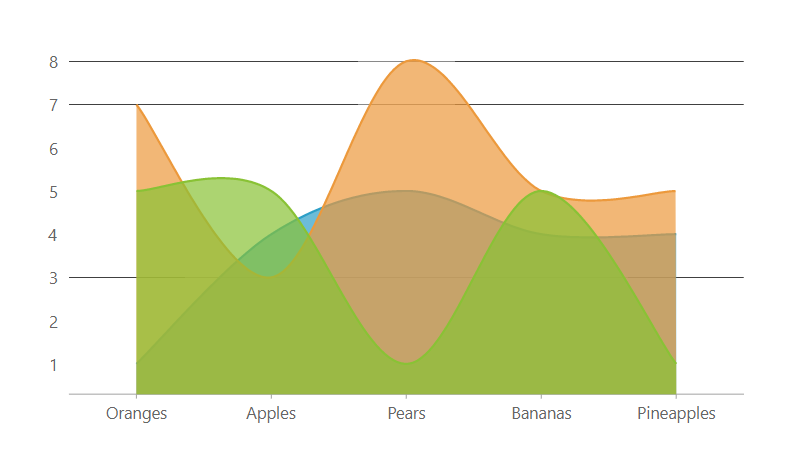 Customizations include gradient color scale, gradient color axis, and a discrete color scale. 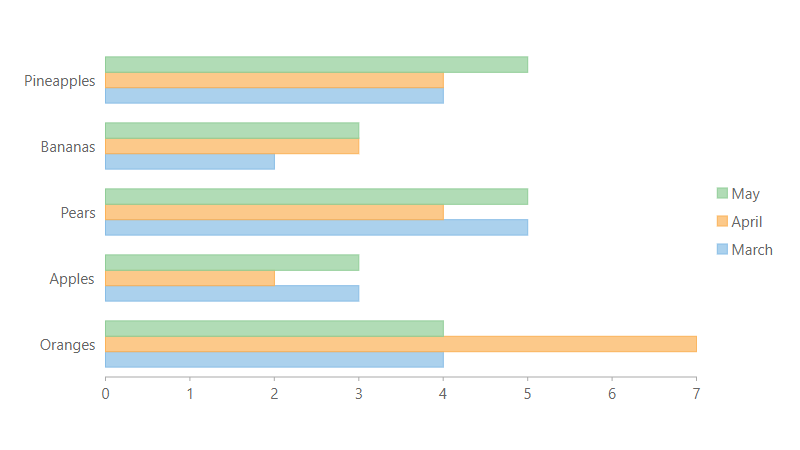 Available in WinForms and WPF. 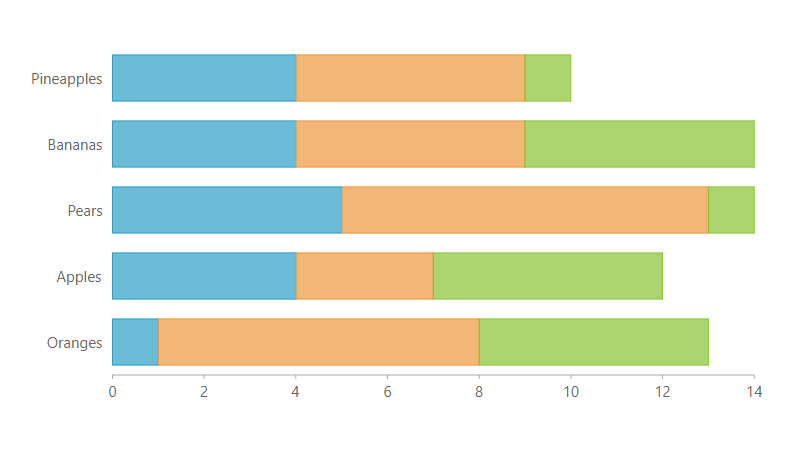 Toggle legends in FlexChart using the LegendToggle property. 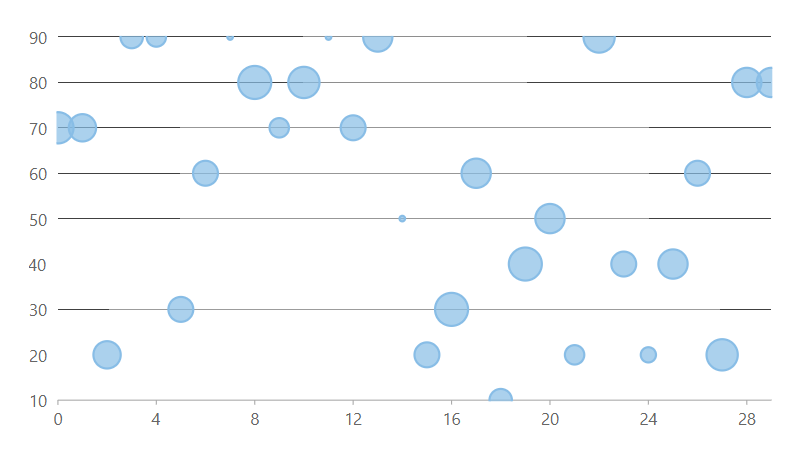 Available in WinForms, WPF, and UWP. 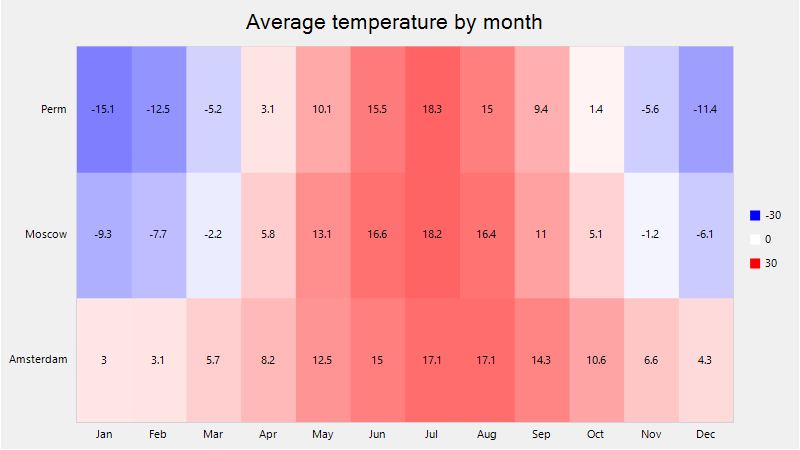 Display information that's relevant to your chart using headers and footers. Provide more information on your data by labeling your data points. Make your chart's labels easier to read by displaying them at an angle. 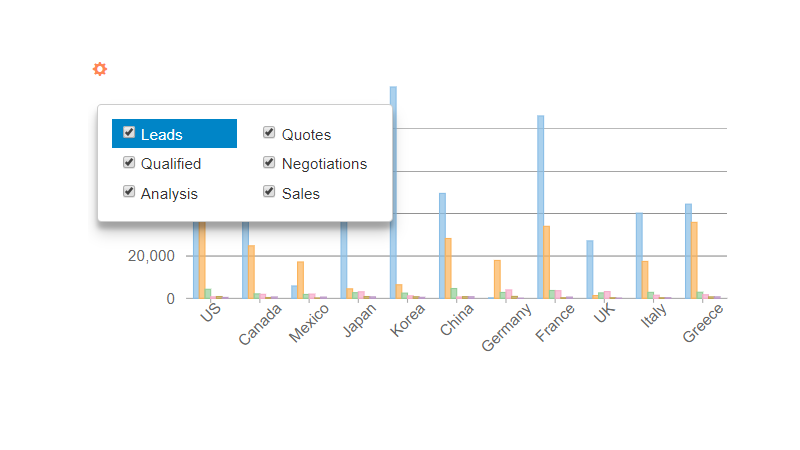 Customize the range of selected numeric data. 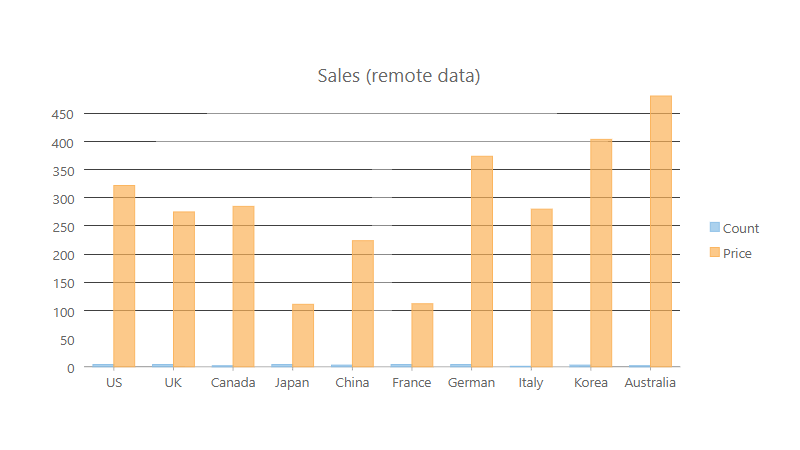 Available in WinForms, WPF, and UWP. 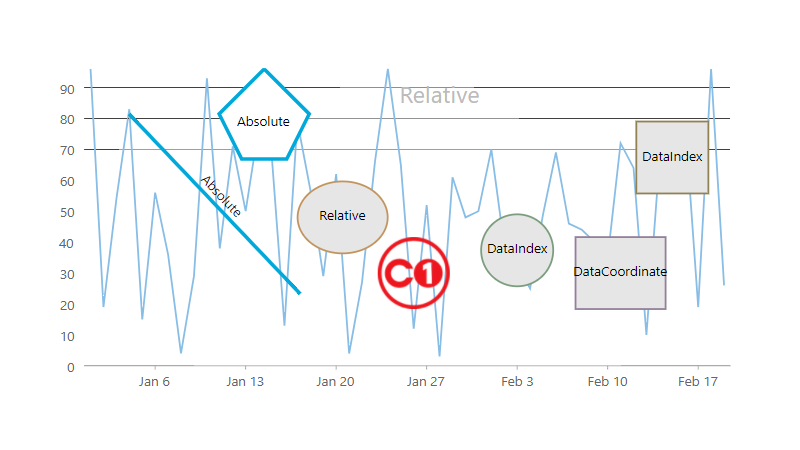 Prevent data labels from overlapping so all data is visible. Available in WinForms, WPF, and UWP. Place custom markers in a variety of shapes and options on a chart. 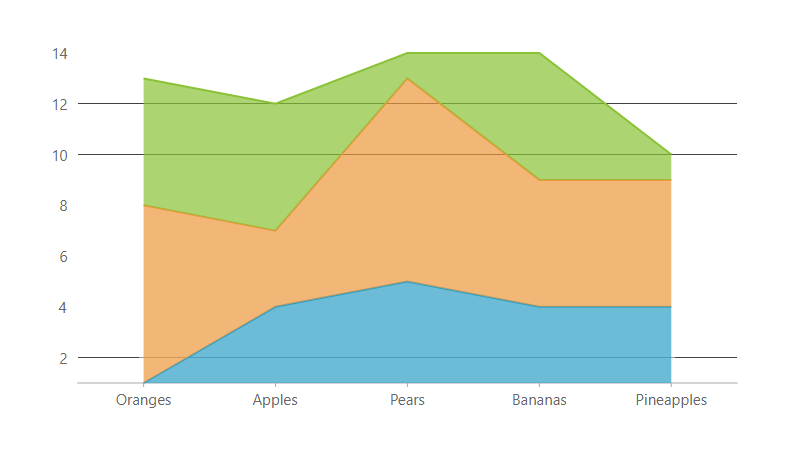 Edit annotations in a live chart with editable annotations. Not available in Xamarin. 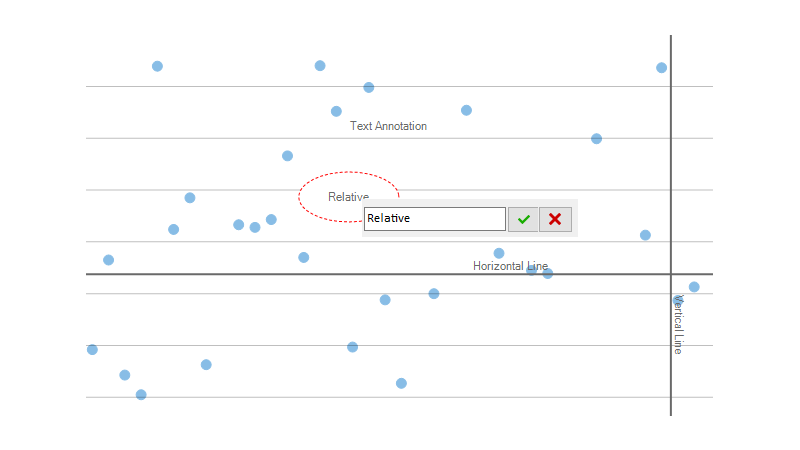 Prevent axis labels from overlapping and choose from Word Wrap, Trim, and Auto options. 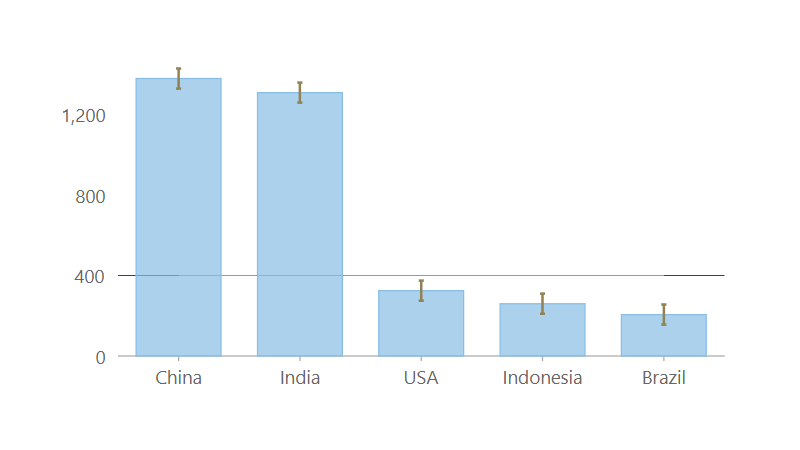 Available in WinForms, WPF, and UWP. Improve chart readability by displaying hierarchical groups in axis labels. Available in WinForms, WPF, and UWP. 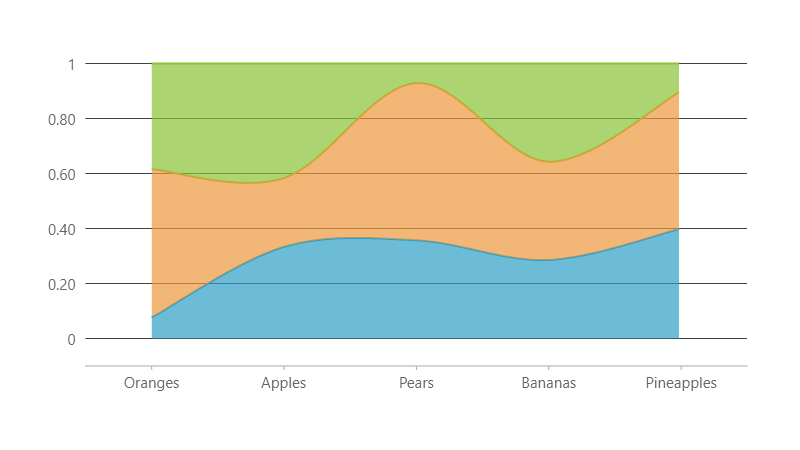 Make your chart effective and appealing by reversing its axes. Available in WinForms, WPF, and UWP. 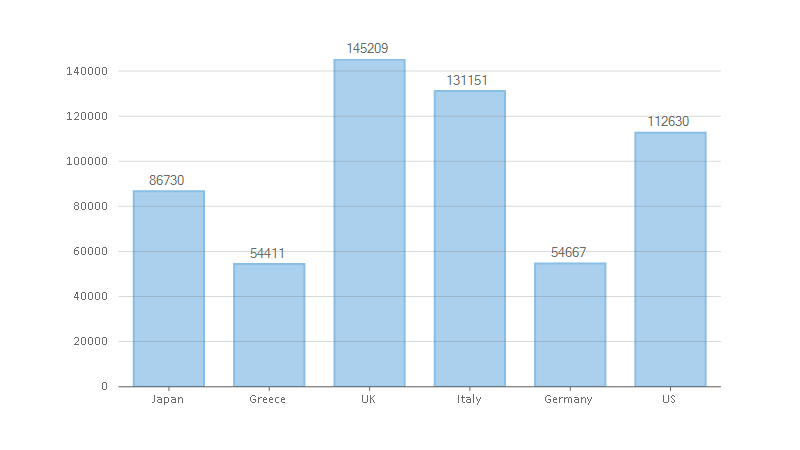 With axis binding, you can show axes labels from a data source other than the chart data source. 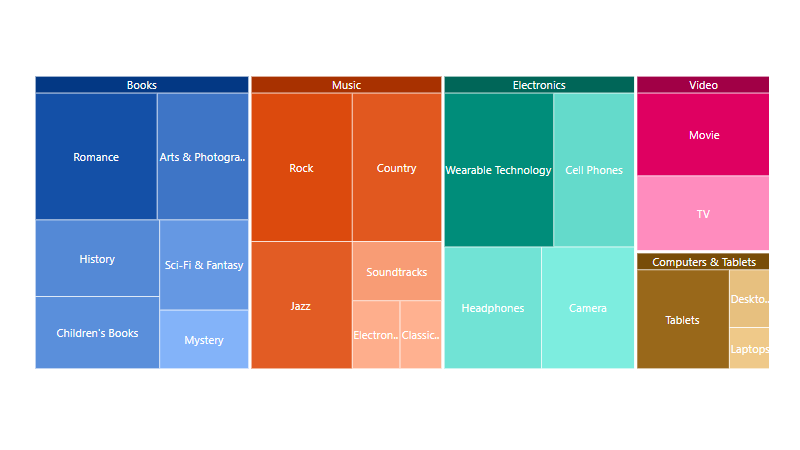 Interact with the chart using mouse or tap gestures. Not available in WinForms. 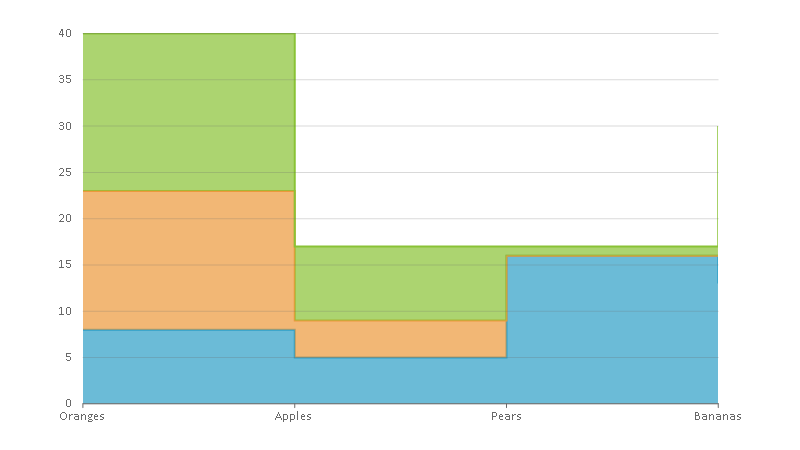 Drill down to more information in a column, pie, or sunburst chart. Available in WinForms, WPF, and UWP. 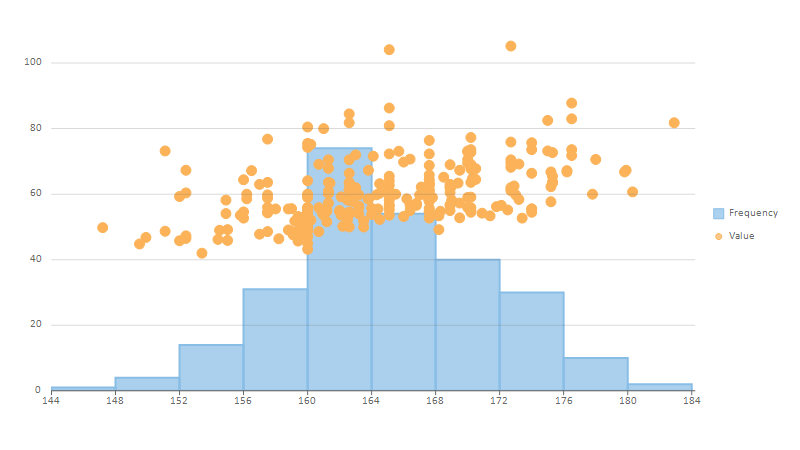 Provide interactive features like clickable regions and drill-downs with the hitTest method, which takes a point and returns it to the nearest chart element. Use markers to show information about a specific point on your chart. Select a single data point or an entire data series in your chart. 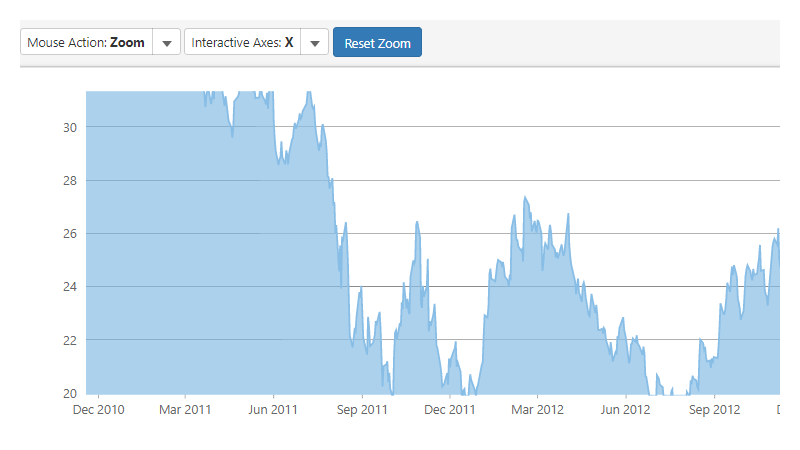 Enable touch for your charts. 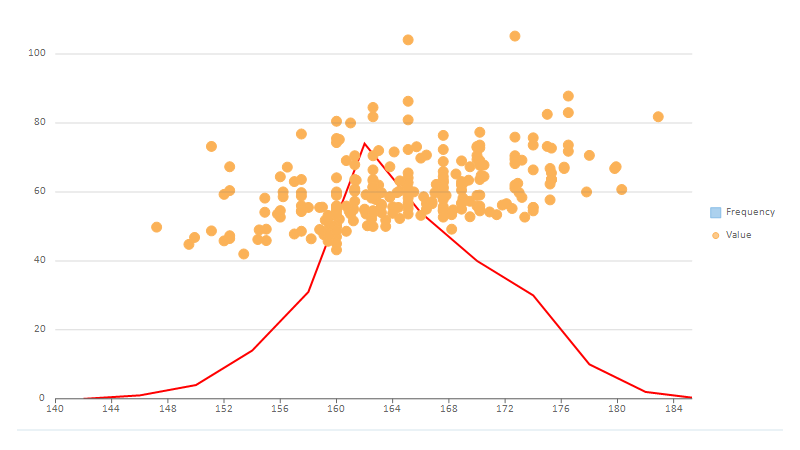 Tooltips generally display a legend's name as well as the X and Y values of a selected point. 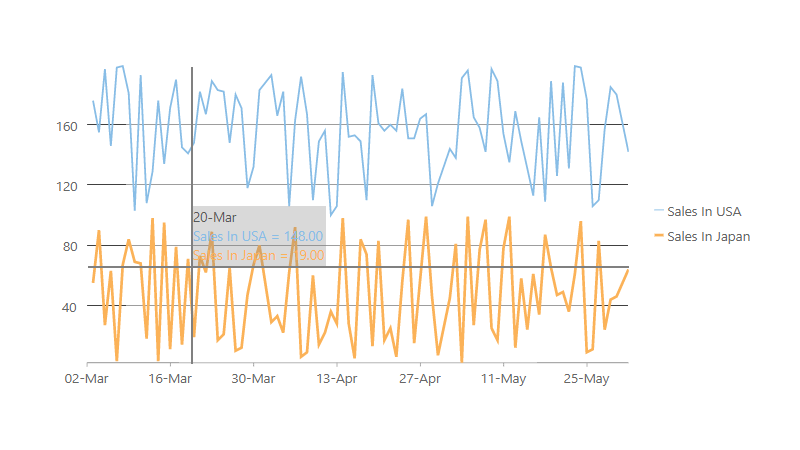 Take a closer look at your data with the zoom mode, or take a step back with the pan mode. 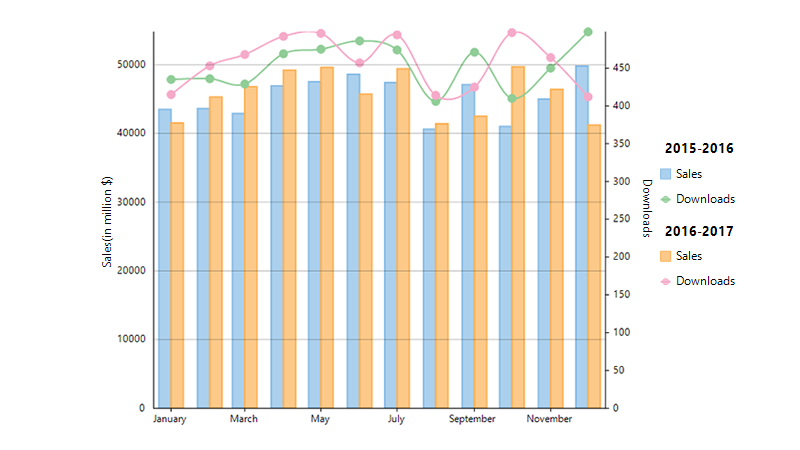 Specify data sources at the series level. 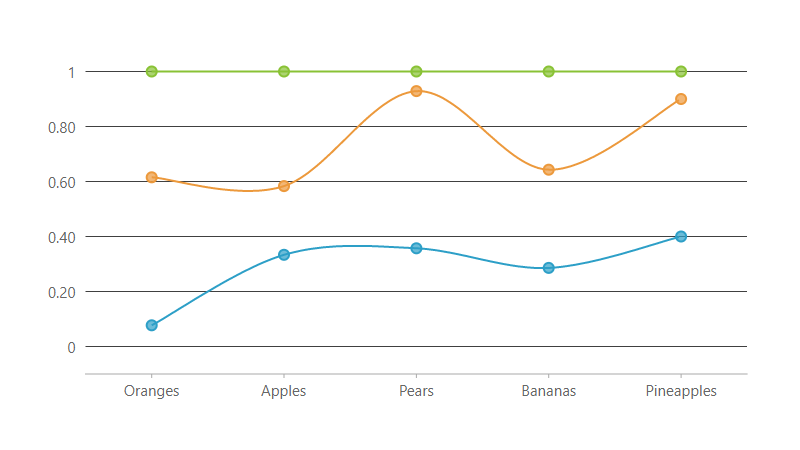 Bind your chart to remote data. 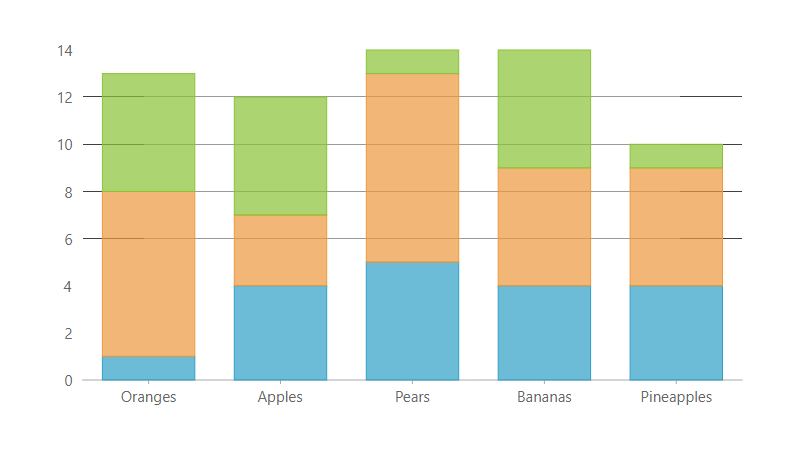 Display your axes labels in a concise, clear format without sacrificing accuracy using scaling formats. Use trend lines to show trends in data and make predictions. Not available in Xamarin. Create different plot areas for different series within a single chart area. Not available in Xamarin. 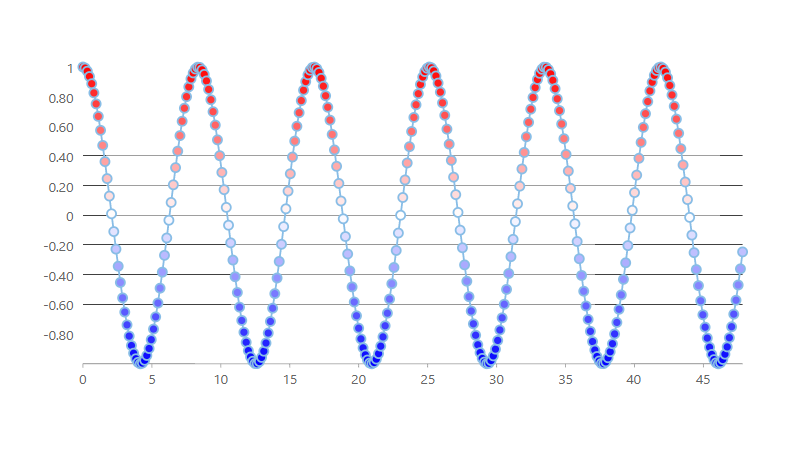 Set animation mode to ALL for each point and series to animate together. 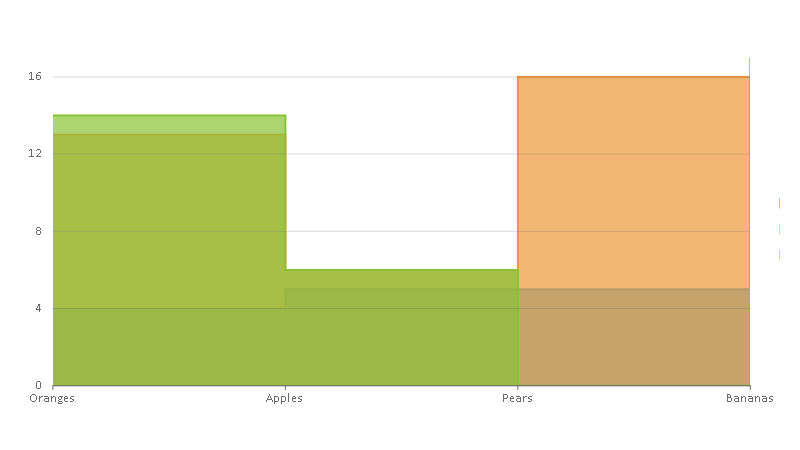 Animate the addition of data points to a chart. Available in WPF and UWP. 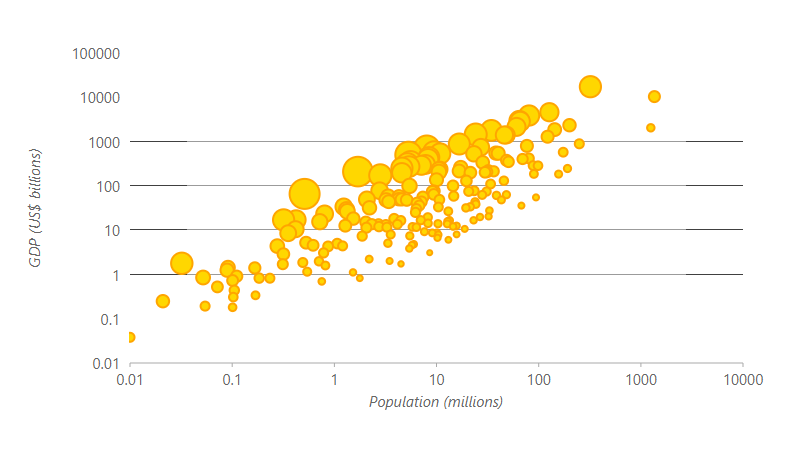 Animate the addition of data series to a chart. Available in WPF and UWP. 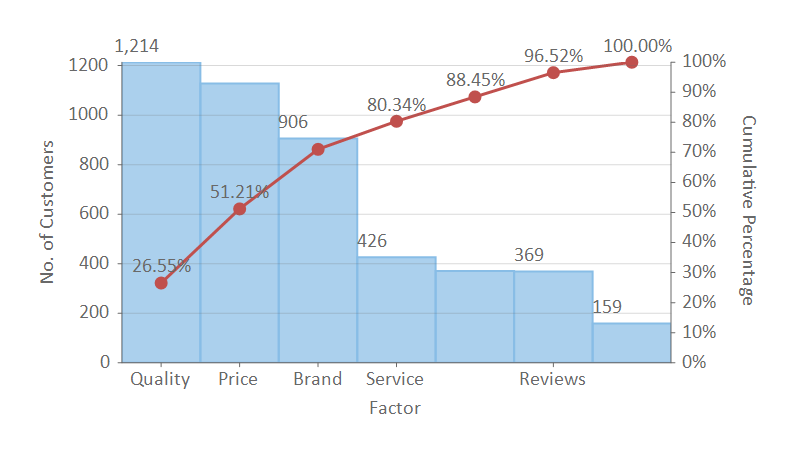 Customize a data point's appearance based on its value. 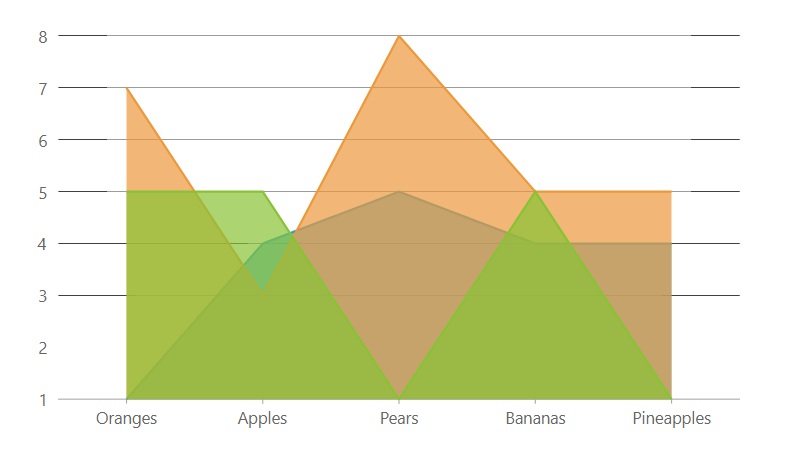 Improve your chart's readability with gridlines. 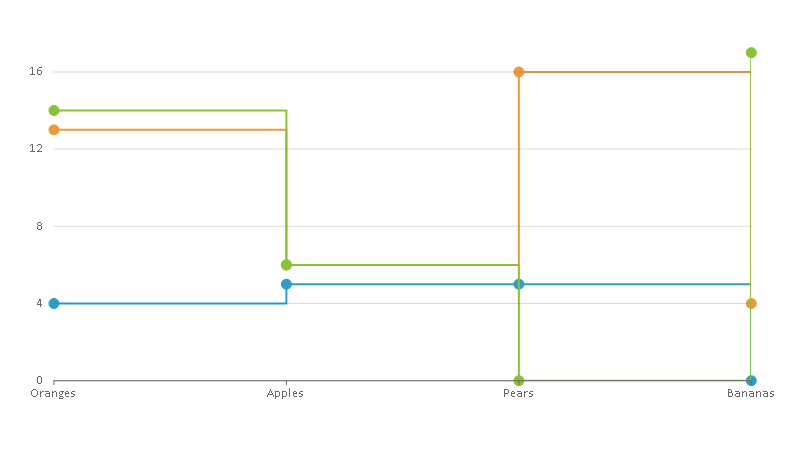 Change the position of your chart's axes using the Position property. 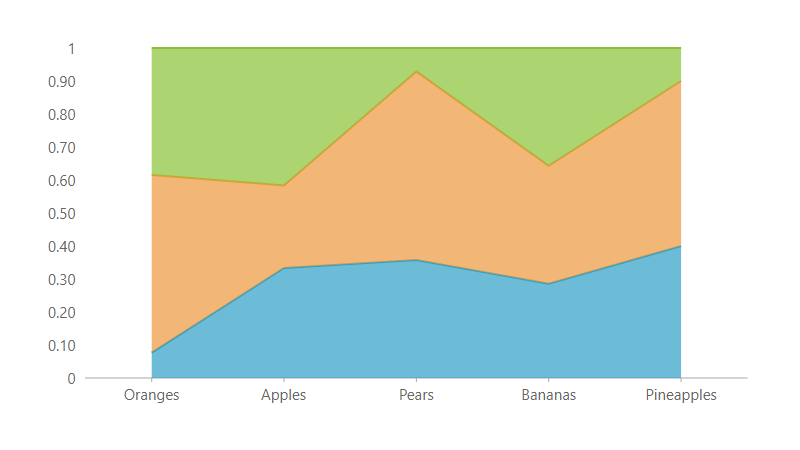 Export your charts to PNG, JPEG, or SVG. Not available in Xamarin. 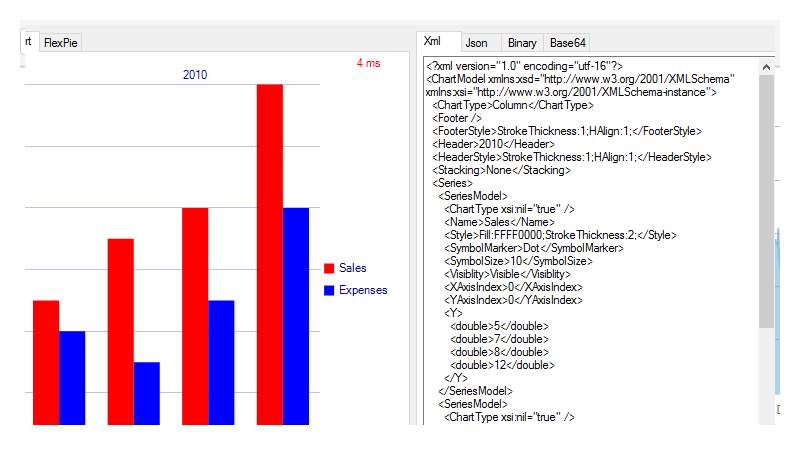 Export your charts to XML, Binary, or JSON formats. 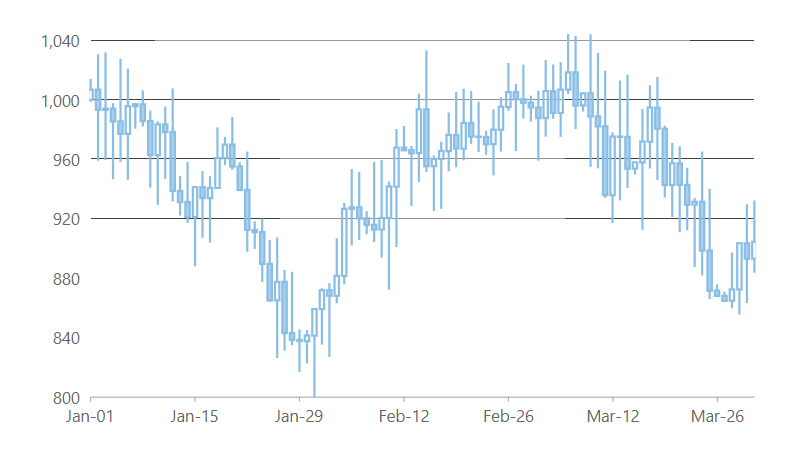 This comprehensive demo desktop app includes all WinForms and WPF demos, including WinForms and WPF FlexChart Explorer, Stock Chart, and Stock Analysis apps. 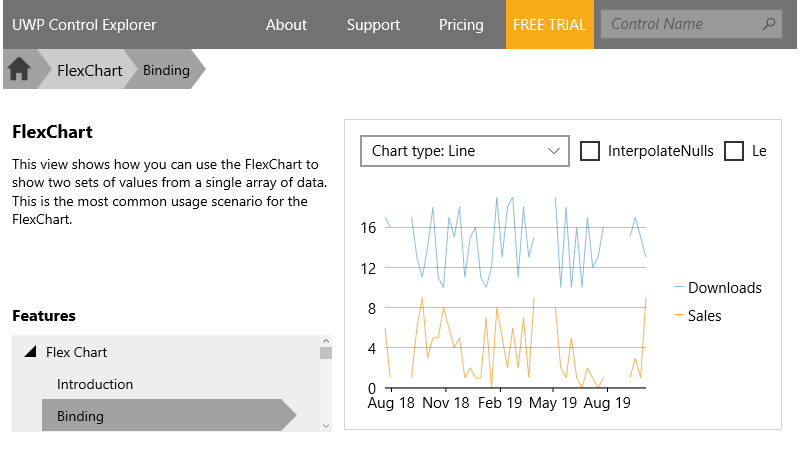 Download this control explorer from the Windows Store and experience all our UWP UI controls, including UWP FlexChart. 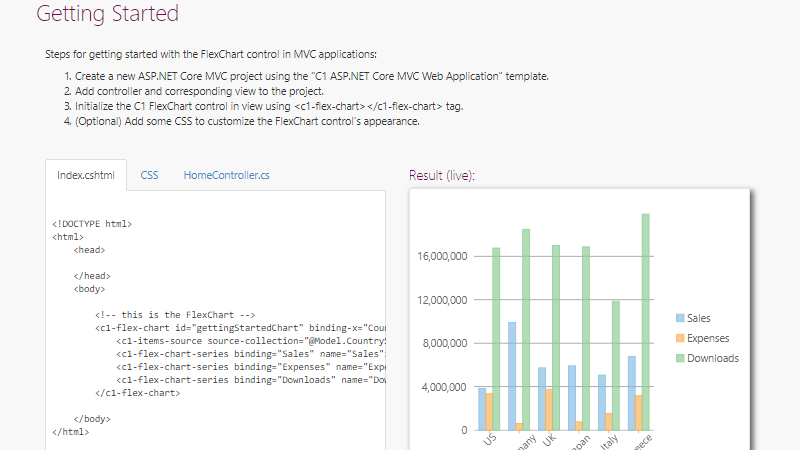 View this control explorer with all ASP.NET MVC controls, including MVC charts and interactions. 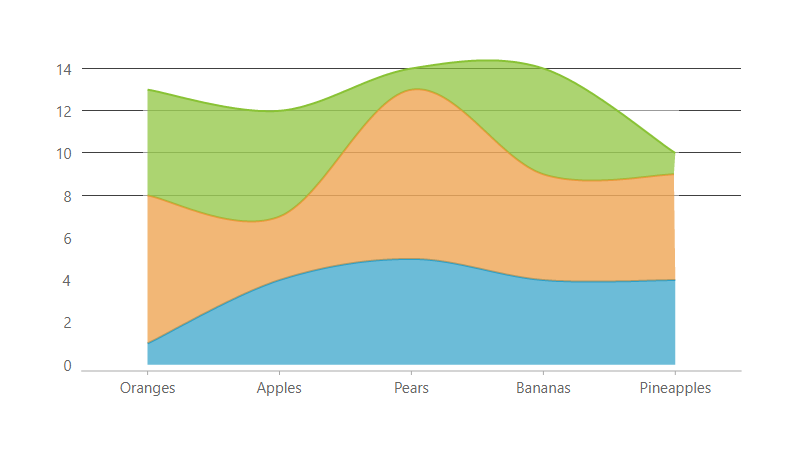 These tutorials get you started with MVC Chart's chart types and interactions. 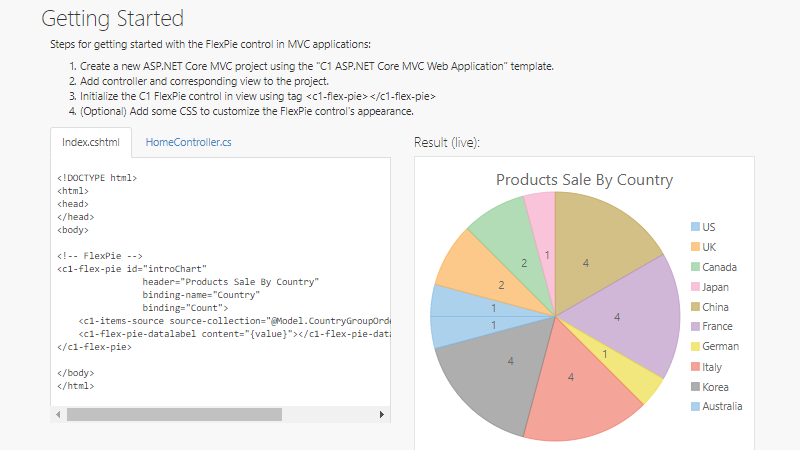 These tutorials get you started with ASP.NET MVC FlexPie, a flexible MVC pie chart. 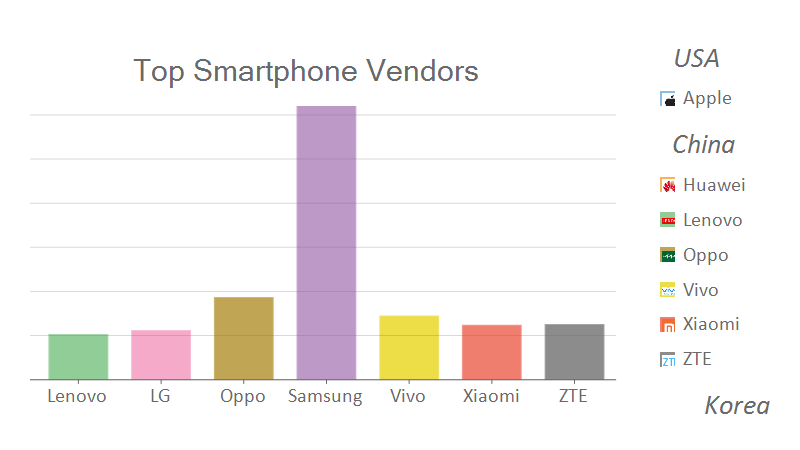 Experience our Xamarin charts on the device of your choice. 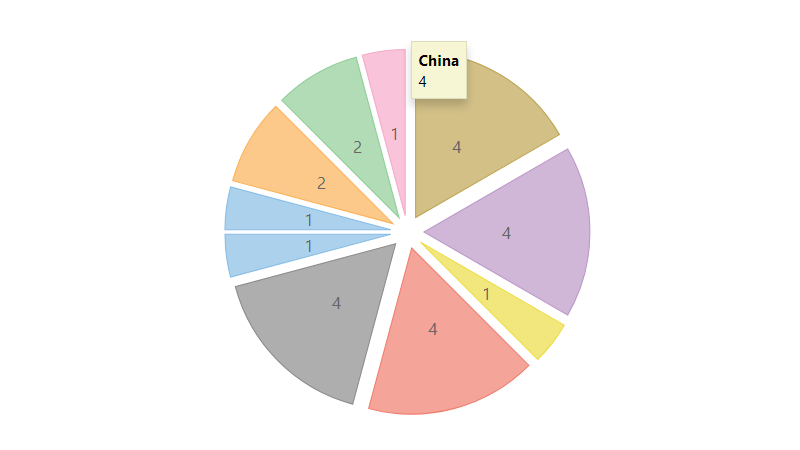 Experiment with Sunburst and pie charts, selections, and animations. 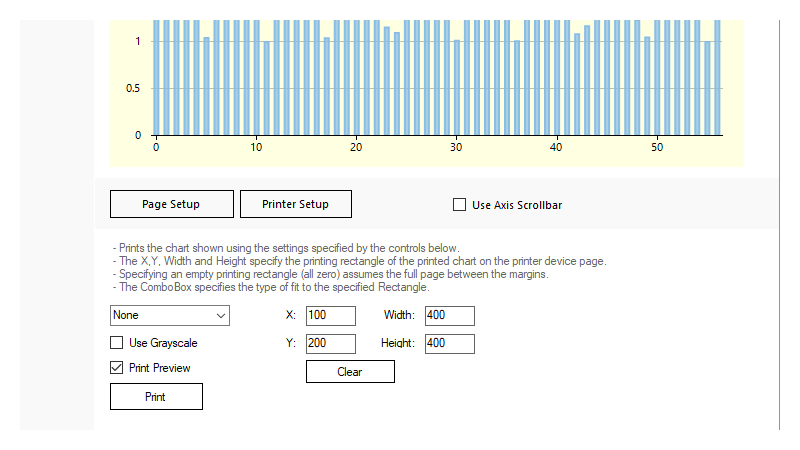 A Drawing Tools sample project for FlexChart has been added. It demonstrates actions such as adding/editing chart elements (e.g. 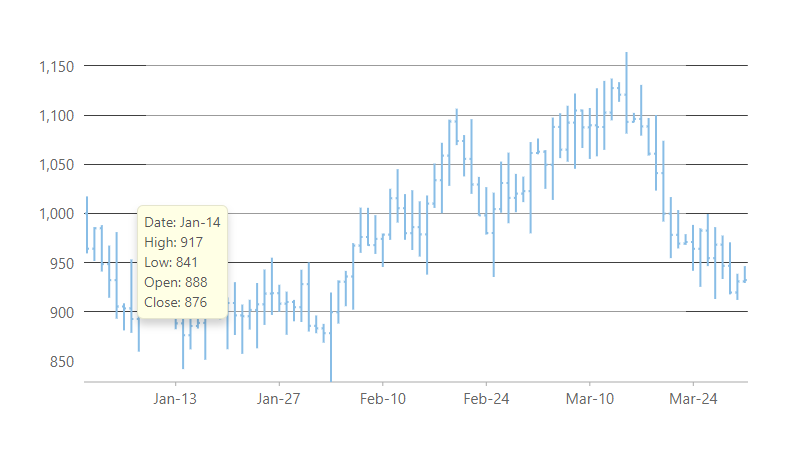 annotations, series, trendline) via it's chart toolbar. 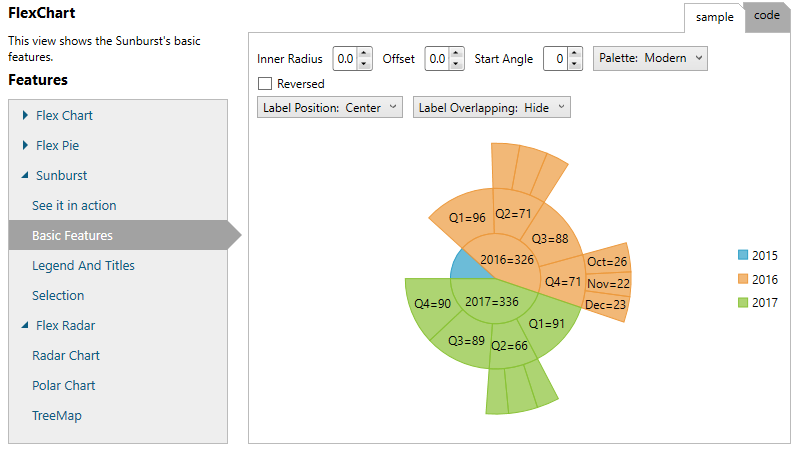 FlexPie now supports automatic data label’s placement to avoid overlapping. The public API includes a new Enum member PieLabelPosition.Auto.